What's the Use of Museums? I've spotted an animal, what next? What do I do if I find a dead animal? A big thank you to all who supported the MVZ during this event! 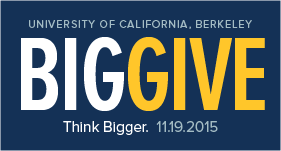 Check BigGive.berkeley.edu to see the final results across the Berkeley campus. Campaign for Campanile Cams Can Deliver! Once a poster child for the Endangered Species Act, the Peregrine Falcon has recovered spectacularly across North America. Only two Peregrine pairs nested in California at the DDT-caused population low in 1970, and some 400+ pairs are estimated to flourish in California today. The historic MVZ egg and nest collection was one of the collections used to show that DDT caused eggshell thinning in Peregrine Falcons. Peregrines were first known to nest on the UC Berkeley Campanile in 2017, and again in 2018. These newcomers to the campus caused great excitement in the community. 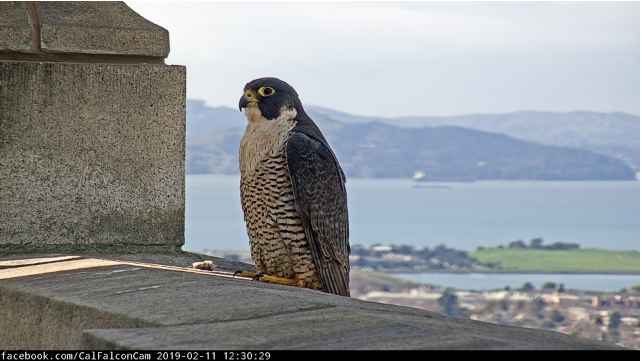 In 2019, MVZ worked with several departments from UC Berkeley and a team of partners (East Bay Regional Park District, Golden Gate Raptor Observatory, Institute for Wildlife Studies) to launch a successful crowdfunding campaign and installed two webcams for falcon viewing on the Campanile. Crowdfunding donors were asked to submit names for the male and female: "Annie" and "Grinnell" (MVZ's founder and first Director) were the selected winners. Follow the Cal Falcons and webcams at https://www.facebook.com/CalFalconCam. MVZ graduate student Alexander Stubbs and Dr. Fernando Montealegre-Zapata of the University of Lincoln in the U.K. recently presented their analysis of the recording of the mysterious sounds that have plagued US diplomats at the Cuban Embassy. Starting in 2016, diplomats started reporting a variety of ailments from tinnitus to cognitive difficulties; a recording was released of the possible cause, which caused speculations of sonic attacks. Instead, Stubbs and Montealegre-Zapata found the acoustic patterns of the released recordings matched the loud calls of the Indies short-tailed cricket (Anurogryllus celerinictus), even accounting for the recording methods. Since then, their findings have been reported by the New York Times and the Guardian among others. A preprint of their study is posted on the online repository bioRxive. Please see our open position for the Front Office Manager! We are seeking an amazing individual who wants to be in the thick of action here at the MVZ and our community. Please pass on to qualified individuals. - Video pick - Video Abstract "Plasticity and Adaptation in a Novel Environment"
- Podcast pick - "At Berkeley, nobody stuffs a bird like Carla Cicero"
Please welcome Jen Hunter, the new Resident Director at Hastings Natural History Reservation. We are very excited for Jen to join the MVZ Community! Help get up Close and Personal with UC’s Nesting Peregrine Falcons! We're crowdfunding a dedicated webcam system for UC's Campanile Peregrines. We need your help to advance our understanding of the world's fastest birds which have started to make the Campanile their home. In 2017, a pair of falcons hatched and raised two nestlings – later named after Berkeley’s motto in a campus-wide competition – Fiat and Lux. In 2018 we installed a permanent nest shelf on the Campanile for the falcons, which paid off when they successfully raised 3 nestlings! The 2018 nestlings were named in a campus-wide competition after three elements discovered at UC Berkeley, Berkelium, Californium and Lawrencium. All three juveniles learned to fly quickly and eventually left campus, with Lawrencium, the juvenile female, seen in the fall of 2018 at the Golden Gate Raptor Observatory in the Marin Headlands! It's official - MVZ Welcomes Two New Curators! The Museum of Vertebrate Zoology is very happy to announce the outcome of our recent faculty search in Vertebrate Evolutionary Biology. On July 1, 2019, we will welcome two new MVZ Assistant Curators and IB Assistant Professors: Christopher Martin (left) and Rebecca Tarvin (right). Thanks to everyone who participated in this very exciting search! - Video pick - KQED Deep Look "How Elephants Listen"
- Podcast pick - "A biology prof on growing up gay in rural Minnesota"
Apply by September 11, 2018 to ensure full consideration by the committee. Applications will continue to be accepted until September 28th, 2018, but those received after the review date will only be considered if the position has not yet been filled. The Resident Director will oversee all day-to-day aspects of the operations at Hastings, including maintenance and development of the physical facilities, coordination of visitor activities, and management of financial resources. In addition, the Resident Director is expected to engage in significant public outreach efforts such as (1) interacting with local land trusts, NGOs, and government agencies to promote understanding of the Reservation and (2) encouraging use of Hastings for workshops, symposia, and small conferences that are consistent with the research and education goals of the Reservation. The Resident Director will also play an active role in fundraising to support the Reservation, including preparing competitive grant proposals and interfacing with campus fundraising efforts. The Resident Director will supervise the activities of the Reserve Steward and will work closely with the Faculty Director at the MVZ to shape the research and educational goals of the Reservation. A graduate degree (M.S or Ph.D. in biology or equivalent international degree) is strongly desired, ideally with an emphasis in ecology, conservation, or ecosystem management. Experience with contractors and maintenance of physical facilities is preferred. Salary: This is a full-time position. Salary is commensurate with experience. The cover letter should address both the applicant’s qualifications and their vision for Hastings within the context of the academic and research missions of the MVZ and the NRS. All letters will be treated as confidential per University of California policy and California state law. Please refer potential referees, including when letters are provided via a third party (e.g., dossier service or career center) to the UC Berkeley statement of confidentiality available at http://apo.berkeley.edu/evalltr.html prior to submitting their letters. Application materials should be uploaded to https://aprecruit.berkeley.edu/apply. This position will be open until filled. The anticipated start date is 10/01/2018. Questions regarding the nature of the position should be addressed to the Faculty Director, Eileen Lacey (ealacey@berkeley.edu). Questions regarding the application process and online submission of documents should be addressed to Malaysha Nolan (m.mnolan@berkeley.edu). Learn about the six Berkeley Natural History Museums and the undergraduate opportunities they offer. 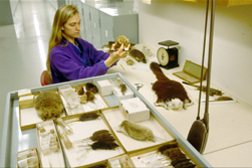 For credit (1-3 units) and volunteer (0 unit) positions are available in the Museum of Vertebrate Zoology (MVZ) here on the UC Berkeley campus. MVZ positions are listed through the University Research Apprenticeship Program (URAP). Hope to see you in the MVZ! Thank You Cal Day Visitors, Contributors, and Volunteers!! Another successful Cal Day at the MVZ! Our final visitor count for the museum was 2532! 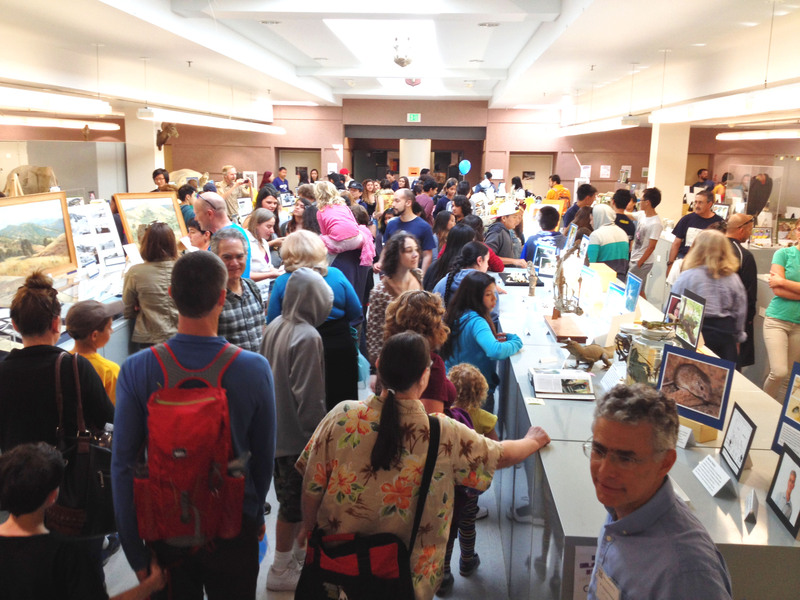 Cal Day is the one day each year that our museum comes together to share our research and collections with the public resulting in one of the most popular events on campus. We are extremely grateful for all the hard work of the MVZ faculty, staff, postdocs, graduate, and undergraduate students in generating exhibit content for the gallery. In addition, our Cal Day volunteers did a fantastic job engaging the public and ensuring that visitors were interacting with the displays and educational activities in a meaningful way. Thank you to everyone who contributed to Cal Day 2018! Cal Day - MVZ Open House! Come to the Museum of Vertebrate Zoology on Cal Day, UC Berkeley's open house and the one day each year that we are open to the public. The museum will be open 9am - 4pm and will host AmphibiaWeb, a Reptile Dissection demonstration, and Eco-Origami. 3101 Valley Life Sciences Building (VLSB) and in the VLSB Courtyard. - MVZ Grads on "The Graduates Radio"
Please join us for MVZ Lunch Seminar this Tuesday, 13 March at 12:30 pm to hear a talk by our final MVZ/IB Faculty Candidate. "Bridges, rafts, and phenotypic diversification in the Gulf of Guinea archipelago"
Island faunas have inspired evolutionary biologists for centuries and I am especially captivated by the enigmatic history of amphibians on islands. Over the last ten years I have been studying amphibian diversification in the Gulf of Guinea archipelago, a chain of islands off the coast of Central Africa that is composed of one land-bridge island (Bioko) and three oceanic islands (Príncipe, São Tomé, and Annobón). In this talk I integrate genomic, behavioral, ecological and morphological data to investigate the colonization history and diversification of the archipelago’s amphibian fauna. See our full seminar schedule here. Thank you to everyone who supported the MVZ and participated during Cal’s Big Give! 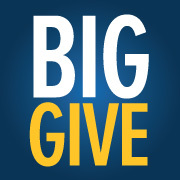 Check BigGive.berkeley.edu to see final results across the Berkeley campus. Berkeley’s 24-hour online fundraiser to support students, faculty, and research is on now! Please consider making your donation to the Museum of Vertebrate Zoology before 9 p.m. P.S.T. Please join us for MVZ Lunch Seminar this Tuesday, 6 March at 12:30 pm to hear a talk by our fifth MVZ/IB Faculty Candidate. 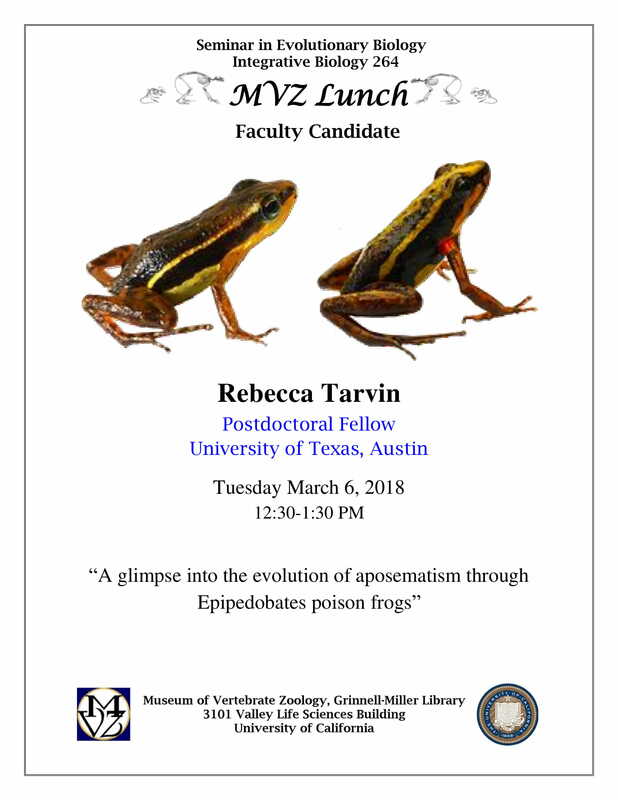 "A glimpse into the evolution of aposematism through Epipedobates poison frogs"
Please join us for MVZ Lunch Seminar this Wednesday, 28 February at 12 pm to hear a talk by our fourth MVZ/IB Faculty Candidate. "Conserve the Collector: Natural history collections and historical change"
In 1910, Grinnell famously foreshadowed the value of collections for the student of the future to understand historical change. However, writing in Science in 1915, Grinnell cautioned against the demise of the collector and reminded the scientific community that “as a rule, all collecting adds sooner or later to scientific knowledge.” Collections are more valuable than ever for understanding the responses of species over historical time, but collecting new specimens is in far greater decline than Grinnell anticipated. 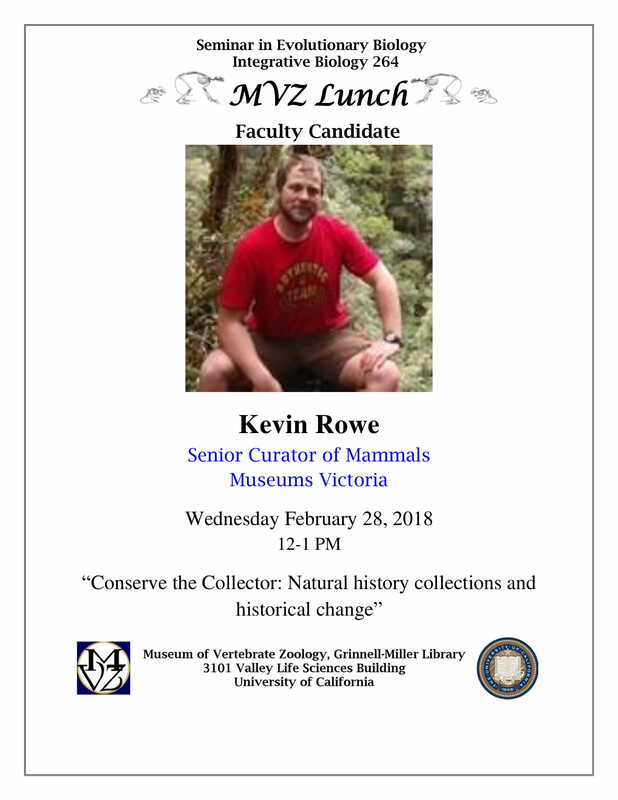 Using examples from my own collections-based research, including the Grinnell Resurvey in California, threatened species in Australia, and emerging infectious diseases in Indonesia, I will show how collections provide insights into the dynamics of mammal communities in response to changing climates and anthropogenic pressures. I also will discuss my approach to building new collections including the management of data from field to database and the preparation of specimens to maximise their research value across a range of disciplines. Please join us for MVZ Lunch Seminar this Wednesday, 14 February at 12 pm to hear a talk by our third MVZ/IB Faculty Candidate. "The cryptic origins of evolutionary novelty: from genotype to fitness landscape"
One of the most poorly understood evolutionary processes is the evolution of novelty. How do new species colonize novel ecological niches or begin to use existing structures for novel functions? This talk will explore the complex origins of trophic specialists in a case study for the evolution of novelty in action: scale-eating and molluscivory in Caribbean pupfishes. The answer lies at the intersection of ecological opportunity, performance, complex fitness landscapes, and diverse sources of genetic variation. 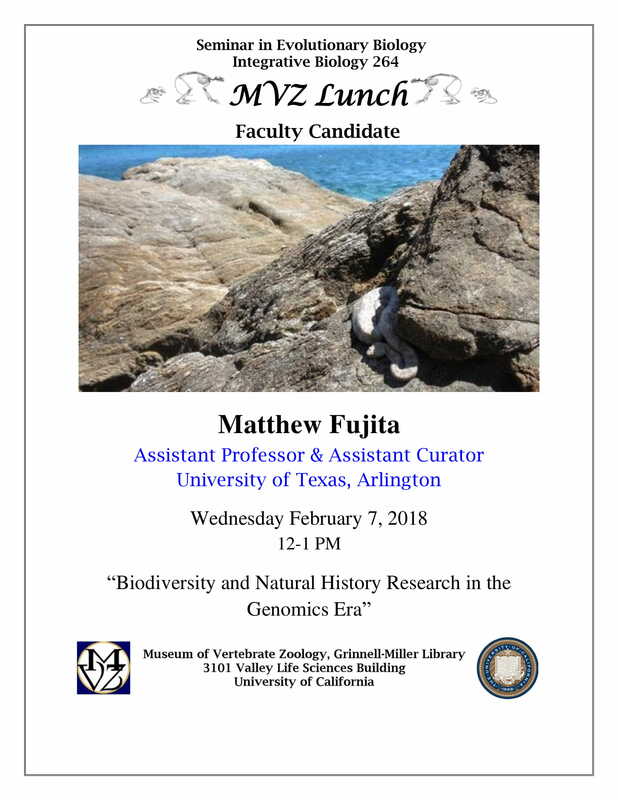 Please join us for MVZ Lunch Seminar today Wednesday, 7 February at 12 pm to hear a talk by our second MVZ/IB Faculty Candidate. "Biodiversity and Natural History Research in the Genomics Era"
Natural history research is inherently integrative and continues to benefit from advances in data collection technologies and analytical approaches. Today I will talk about how my lab leverages genomics to address questions in biodiversity science, including the systematics of West and Central African reptiles and amphibians and the evolution of frog vision systems. The integration of organismal, field, genomic, and computational approaches has been a guiding ethos in my lab and will continue to provide a foundation as we seek to understand the mechanisms generating the incredible biodiversity of reptiles and amphibians. 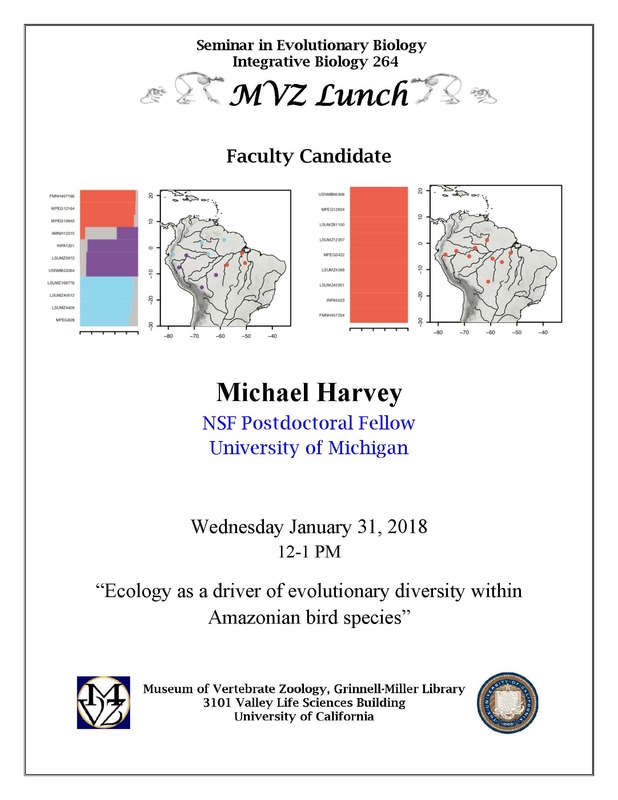 Please join us for MVZ Lunch Seminar this Wednesday, 31 January at 12 pm to hear a talk by our first MVZ/IB Faculty Candidate. "Ecology as a driver of evolutionary diversity within Amazonian bird species"
Species often differ in the degree of phenotypic and genetic diversity observed across their geographic distributions. The geography and landscape history of the region in which they occur is partly responsible, but broad ecological traits of species may also help determine intraspecific diversity. Here, I examine the link between one ecological trait, habitat, and intraspecific diversity using 20 pairs of closely related Amazonian bird species in which one member of the pair occurs primarily in floodplain forest and the other in upland forest. I use standardized geographic sampling across the Amazon Basin and data from the same set of 2,416 genomic markers, both of which permit the comparison of diversity measures across species. I find that species of upland forest have greater genetic diversity and divergence across the landscape than species of floodplain forest. Mechanisms acting at both ecological (e.g., dispersal) and evolutionary (e.g., crown age of populations) timescales appear to be responsible for the trait-dependent disparity in diversity. I conclude that species ecology in the form of habitat association determines intraspecific diversity and suggest that differences in diversity between floodplain and upland avifaunas in the Amazon may be driven by differences in the demographic and evolutionary processes at work in the two habitats. Finally, I outline a recent focus in my Amazonian research program on characterizing the speciation process in a single area representing a suture zone between many pairs of divergent populations – the headwaters of the Amazon River in Peru. Replicate population pairs at different stages of divergence can provide a window on the entire speciation process. I am characterizing not only population differentiation, but also the changing architecture of genome divergence, rates of phenotypic differentiation, and rates of behavioral divergence across lineages in this system. I can then evaluate which axes of divergence are most relevant to speciation using estimates of reproductive isolation from genomic data and mate-recognition experiments. Deadline Extended - Apply Now! December 2017 Newsletter is now available. Wishing everyone a wonderful winter break and a very Happy New Year! A truly MVZ effort is out on PLOS! "Mutualism in museums: A model for engaging undergraduates in biodiversity science” describes how much the MVZ depends on our undergraduates and what our students gain in the process. Spearheaded by former undergraduate Anna Hiller, she’s now a graduate student at Louisiana State University pursuing a PhD in evolutionary biology. This paper is dedicated to the students- past, present and future- who make this all possible. MVZ graduate student Zach Hanna is featured wtih Jack Dumbacher (Curator, California Academy of Sciences). Northern spotted owls are endangered and scientists are rushing to learn more about the species to help protect them against potential threats. The Department of Integrative Biology and the Museum of Vertebrate Zoology at the University of California, Berkeley invite applications for a full time (50% IB, 50% MVZ) tenure-track position in vertebrate evolutionary biology at the Assistant Professor/Assistant Curator level. Potential start date is July 1, 2018. The Museum of Vertebrate Zoology is commemorating over a century of teaching the Natural History of the Vertebrates course at UC Berkeley and celebrating the importance of natural history in education. Registration for the reunion events has closed. But please feel free to join our symposium on Saturday, September 9 from 8:00am-5:30pm in 2050 VLSB. For credit (1-3 units) and volunteer (0 unit) positions are available to UC Berkeley undergraduates in the Museum of Vertebrate Zoology. 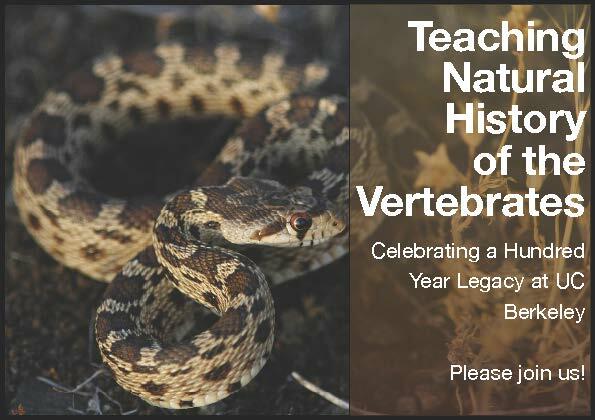 Please join us in commemorating over a century of teaching the Natural History of the Vertebrates course at UC Berkeley and in celebrating the importance of natural history in education. Hosted by the Museum of Vertebrate Zoology, this reunion event is a chance to reconnect with classmates and instructors, and hear from speakers who have been inspired by the course and the field of natural history. Please visit our website for more details! Research at Hastings featured in new BBC program on Animal Behavior! Eric Walters from Old Dominion University and researcher at Hasting Natural History Reservation will be featured in a new BBC program on animal behavior called "Animals Behaving Badly" that will air in September. The segment will document the complex interaction and battle for acorns between the woodpeckers who store the acorns in granary trees and the squirrels and jays. Another successful Cal Day at the MVZ! Our final visitor count for the museum was 2158! We are extremely grateful for all the hard work of the MVZ faculty, staff, postdocs, graduate, and undergraduate students in generating exhibit content for the gallery. In addition, our 95 Cal Day volunteers did a fantastic job engaging the public and ensuring that visitors were interacting with the displays and educational activities in a meaningful way. Thank you to everyone who contributed to Cal Day 2017! Come out to see us at 3101 Valley Life Sciences Building (VLSB) and in the VLSB Courtyard. Fresh for the new year, the Hastings Natural History Reserve's website has a new look and new content. From Vince Voegeli, Resident Director: "If you've not visited hastingsreserve.org in a while, please have a look and let us know what you think of the new website. Hopefully you'll find it easier to navigate and find what you need to know! Thanks go out to Dana Holdt for the design and the majority of the work getting this up and running, as well as everyone else who contributed to the final product!" 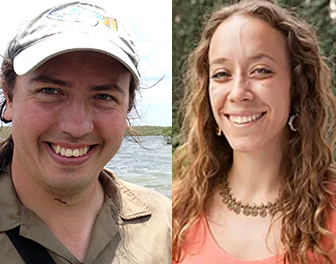 MVZ affiliated faculty Erica Bree Rosenblum and colleagues are featured in the NSF news story "Lizard species diverging to survive: Rapid evolution in action at White Sands National Monument." 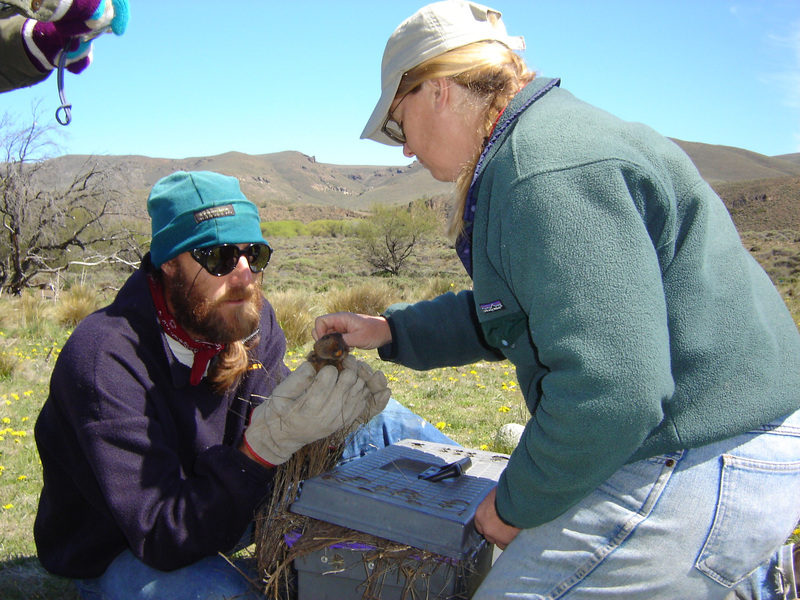 This research is supported by an NSF CAREER Award: "An Integrative Approach to Understanding and Communicating Evolution in Action." MVZ Alumn, Rocky Gutiérrez (Ph.D. '77) and his wife Kaye, were recently featured in the Fall 2016 issue of the Cal Futures newsletter for their generous gift establishing a new fellowship to support MVZ graduate students from traditionally underrepresented minorities. We are very grateful for this gift! 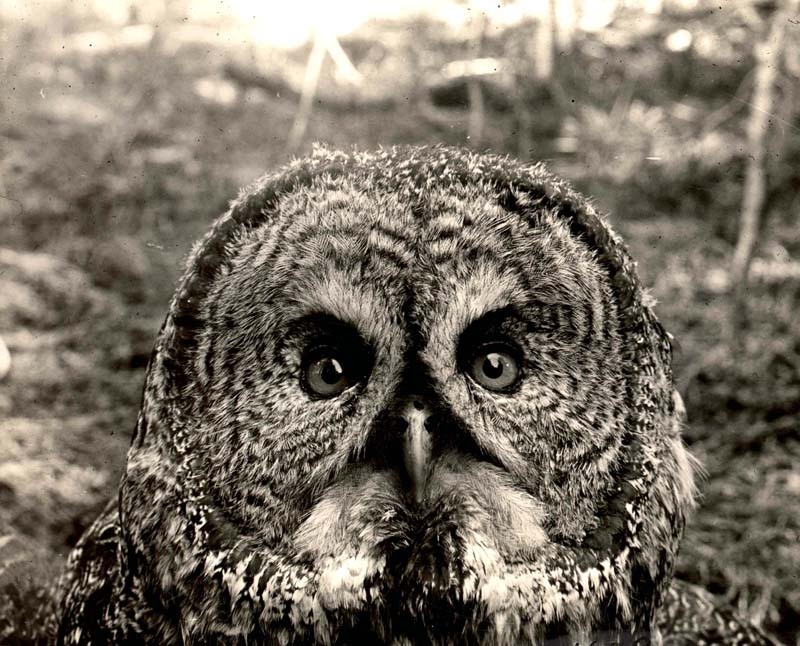 In the article Rocky talks about his experience in the MVZ as well as his research and conservation efforts with the spotted owl in the Pacific Northwest. We will be holding a mandatory orientation for all new MVZ undergrads and volunteers on Wednesday, Sept. 28, 5:00-6:30pm in the MVZ Grinnell-Miller Library (3101 VLSB). In the University of California News article "100 years of national parks, 100 years of climate change data" national parks, natural history collections like those of the MVZ, and studies such as our Grinnell Resurvey Project are highlighted as important components of understanding global climate change. Read the UCOP article HERE. The project has additionally been featured in Science Notes 2016 with an interview with MVZ Curator and Emeritus Professor Jim Patton, an audio conversation with MVZ Archivist Christina Fidler, and a narrated slide show. Read the Science Notes article HERE. A recent publication by MVZ graduate student, Alexander Stubbs and co-author Christopher Stubbs (Harvard) titled, "Spectral discrimination in color blind animals via chromatic aberration and pupil shape" was featured in Berkeley News this week. The PNAS article presents a mechanism by which "color-blind" animals may be able to distinguish colors using cephalopods as a specific example. You can read the Berekeley New article, "Weird pupils let octopuses see their colorful gardens" here. Direct link to the PNAS article is here. In the article, "Time and Motion Study" Tali explains how technology can make zoologists more productive. Another successful Cal Day under our belts! Our final visitor count for the gallery was 2884, which is 249 more people than last year! Each year, our museum comes together to deliver one of the most popular events on campus. It is the one day each year that we can share our museum with the public and clearly the UC Berkeley and Bay Area communities are very interested in what the MVZ has to offer. We are extremely grateful for all the hard work of the MVZ faculty, staff, postdocs, graduate, and undergraduate students in generating exhibit content for the gallery. In addition, our 99 Cal Day volunteers did a fantastic job engaging the public and ensuring that visitors were interacting with the displays and educational activities in a meaningful way. Thank you to everyone who contributed to Cal Day 2016! The UC Berkeley Emeriti Association has announced the winner of its annual Distinguished Emeritus of the Year, honoring MVZ's David Wake, a professor emeritus of integrative biology, professor of the graduate school, and former director and current curator of herpetology at the Museum of Vertebrate Zoology. 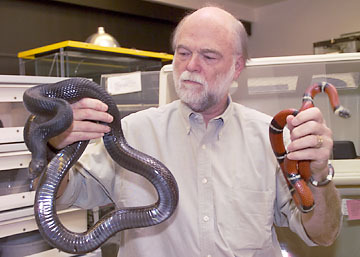 While Professor Wake is well known for his work on the biology and evolution of the salamander and broadly for his contributions on vertebrate evolutionary biology, we know him as one of our longest serving directors (26 years), founder of AmphibiaWeb and champion of salamanders (pictured here with Marvalee Wake). Congratulations! Click here to see all our events. The Museum of Vertebrae Zoology Archives is seeking a student to assist with ingesting, maintaining , and enhancing media and metadata related to the museum's historic photo collection. Student will also assist in scanning and image manipulation as well as assisting with other general archival functions including paging and reference support. Ability to perform detailed -oriented tasks with irreplaceable material and data. Ability to work on computers. Other required experience includes working with spreadsheets and familiarity with image and file manipulation applications and methods. Graduation from high school or a General Education Diploma and 2 years of college required. We will be holding a mandatory orientation for all new MVZ undergrads and volunteers on Thursday, February 25, 5:00-6:30pm in the MVZ Grinnell-Miller Library (GML – 3101 VLSB). We will cover the business of being an undergrad/volunteer in the MVZ and go on a tour of the museum. Gain hands-on experience in the Museum of Vertebrate Zoology! There's something for everyone (including starter positions with no experience necessary). Highlights include apprentice positions in Curatorial/Collections, Prep Lab, Archives, Communication/Outreach, and in faculty led research labs. 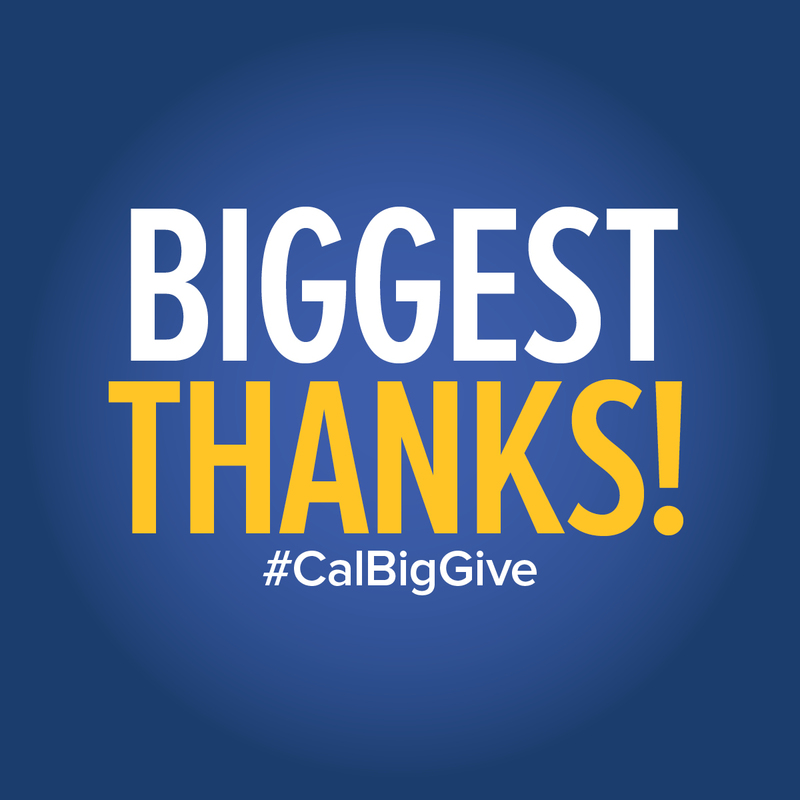 Biggest Thanks to everyone who supported the MVZ and participated in Cal’s second Big Give! Please consider making your donation to the Museum of Vertebrate Zoology today before 9 p.m. P.S.T. Berkeley's 24-hour online fundraising blitz to support students, faculty, and research, and keeping Cal the #1 public university in the world is back. Be a part of the Big Give by donating to the Museum of Vertebrate Zoology on November 19, 2015. To learn more about the Big Give, please visit the Big Give website. The MVZ was excited to welcome Dr. Robert Ricklefs, Curator's Professor of Biology, University of Missouri, last week on October 8 and 9. 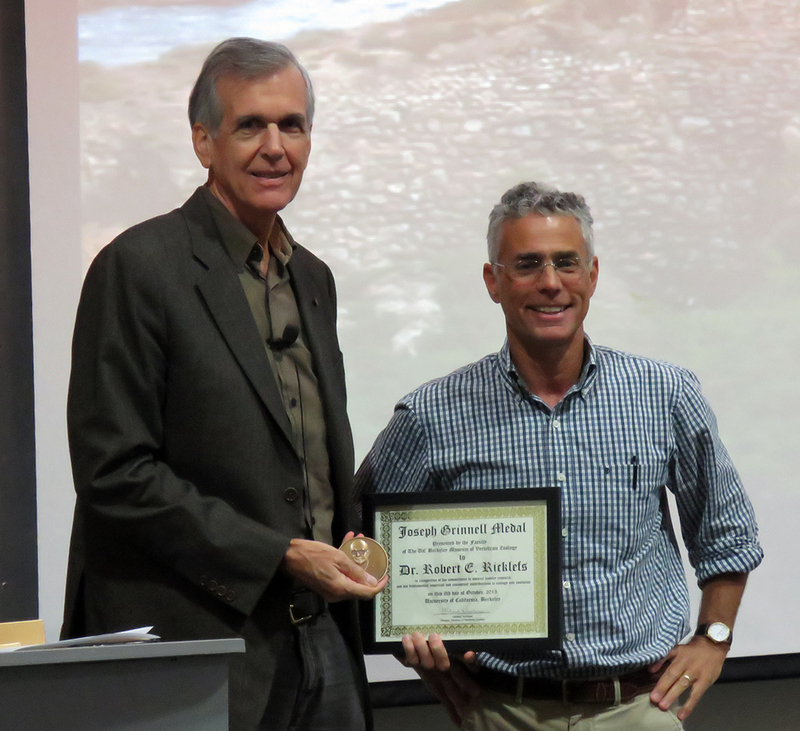 Dr. Ricklefs is the recipient of the 2015 UC Berkeley Museum of Vertebrate Zoology Joseph Grinnell Award and gave a special seminar on "Intrinsic dynamics of the regional community." Dr. Ricklefs was awarded the Joseph Grinnell Medal by the faculty of the MVZ in recognition of his commitment to natural history research and his fundamental empirical and conceptual contributions to ecology and evolution. Rosemary and Peter Grant visit the MVZ! 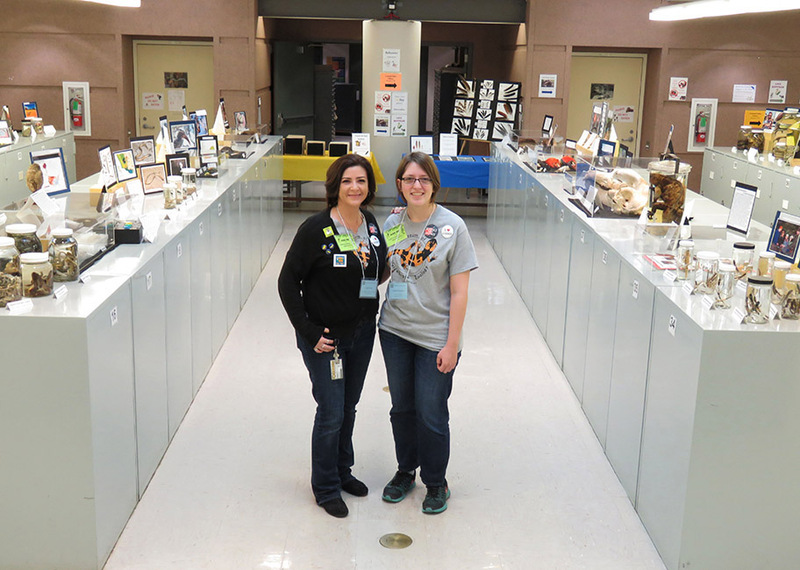 The Museum of Vertebrate Zoology was very excited to host Drs. Rosemary and Peter Grant this past week on September 30 and October 1, 2015. The Grants were the MVZ graduate student invited speakers and they were very generous with their time giving two seminar presentations for our community at both the MVZ Lunch Seminar on Wednesday and the IB seminar on Thursday. 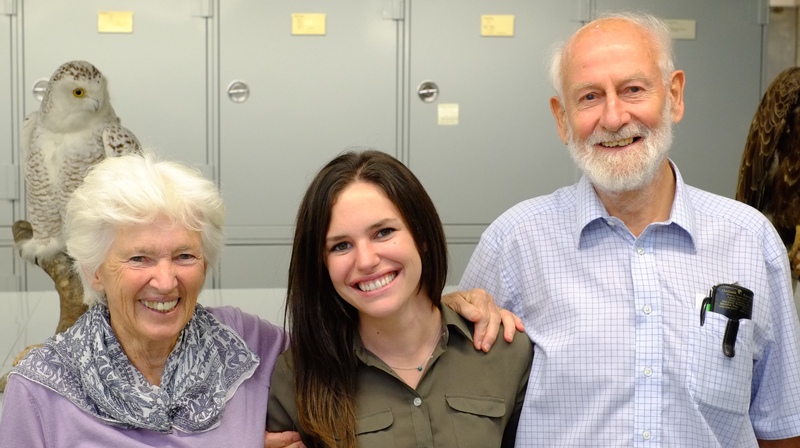 "In Search of the Causes of Evolution"
The Museum of Vertebrate Zoology is excited to host our student invited speakers, Rosemary and Peter Grant! They will give a Museum of Vertebrate Zoology and Integrative Biology joint seminar titled, "In Search of the Causes of Evolution". Thursday, October 1, 12:30 - 1:30 p.m.
We will be holding a mandatory orientation for all new MVZ undergrads and volunteers on Tuesday, September 29, 5:00-6:30pm in the MVZ Grinnell-Miller Library (GML – 3101 VLSB). We will cover the business of being an undergrad/volunteer in the MVZ and go on an extensive tour of the museum. Please let the receptionist know that you are there for the undergrad/volunteer orientation and she will direct you to the GML. Undergraduate Opportunities in the MVZ – APPLY NOW! Gain hands-on experience in the Museum of Vertebrate Zoology! There's something for everyone (including starter positions with no experience necessary). Highlights include apprentice positions in Curatorial/Collections, Prep Lab, GIS/Informatics, Communication/Outreach, and in faculty led research labs. "Scientists urge ban on salamander imports to fend off new fungus"
A moratorium on US salamander imports may be the best defense against the deadly salamander chytrid fungus, Batrachochytrium salamandrivorans (Bsal), which is poised to devastate North American amphibian biodiversity. Yet, the US Fish & Wildlife Service has not acted to ban imports of salamanders to the US, pending more studies of this recently discovered pathogen. A growing chorus of advocates for a temporary ban includes a new Science Policy Forum report (Yap et al 2015), which presents a salamander vulnerability model showing the regions most at stake. MVZ authors of the new Science paper include Tiffany Yap (MVZ visiting graduate student), Michelle Koo (MVZ Staff Curator), David Wake (MVZ Faculty Curator, Professor Emeritus), and Vance Vredenburg (MVZ Affiliated Researcher). 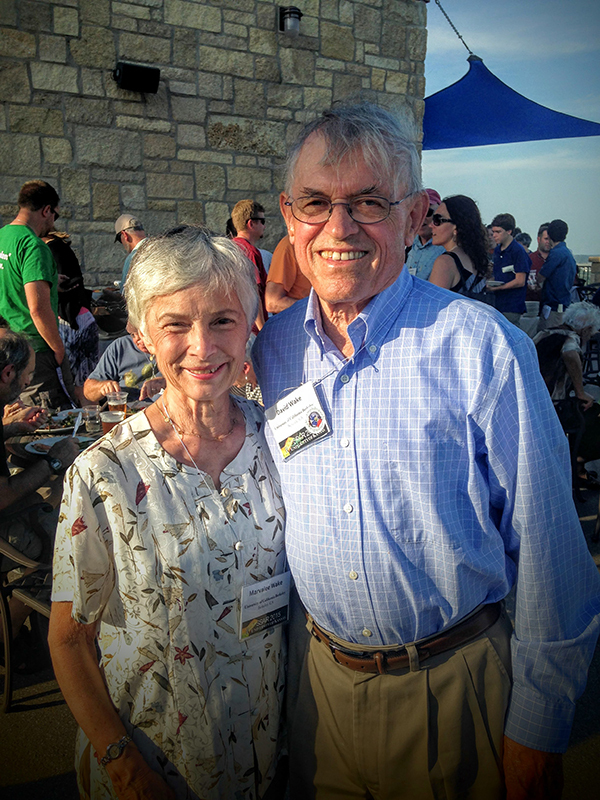 After 50 years of educating students, training future scientists, and answering questions about the earth, the NRS is holding an anniversary celebration. 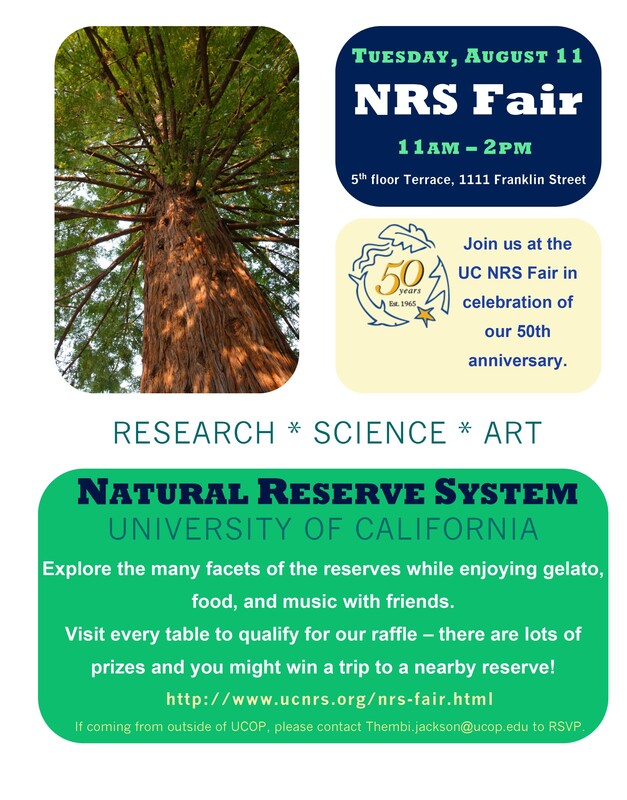 The UC Natural Reserve System Fair will feature experts and researchers from across the reserve system. Enjoy music, food, and prizes while learning about the world's largest university administered reserve system. The event is free and open to the public. A global celebration of Mendel's Legacy, put on by the Mendel Museum in the Czech Republic, occurred on Mon., July 20, 2015. The MVZ hosted a live feed of the celebration which included a live concert, speeches, and an animated representation of Mendel's work, "The Well-Tempered Genotype," accompanied by an orchestral composition performed by the Brno Philharmonic. If you were unable to attend or stay for the entire presentation, you can view the ceremonial speeches and the audio-visual portion of the event on their website (www.mendelthelegacy.com). The video link is approximately one hour in total and includes ceremonial speeches by Sir Paul Nurse, Vicki Chandler, Drew Berry (animator), and Duncan Hendy (composer). "The Well-Tempered Genotype" was projected on the walls of the Mendel Museum and begins at approximately 40:00. 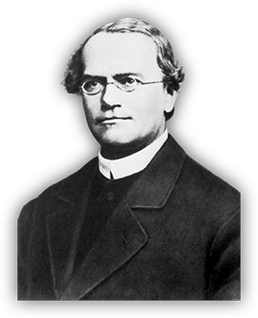 In celebration of both Mendel’s birthday and the beginning of genetics, the MVZ will offer a viewing of “The Well-Tempered Genotype,” an audio-visual representation of Mendel’s legacy with animation by Drew Berry, accompanied by the music of Duncan Hendy, and performed by the Brno Philharmonic. 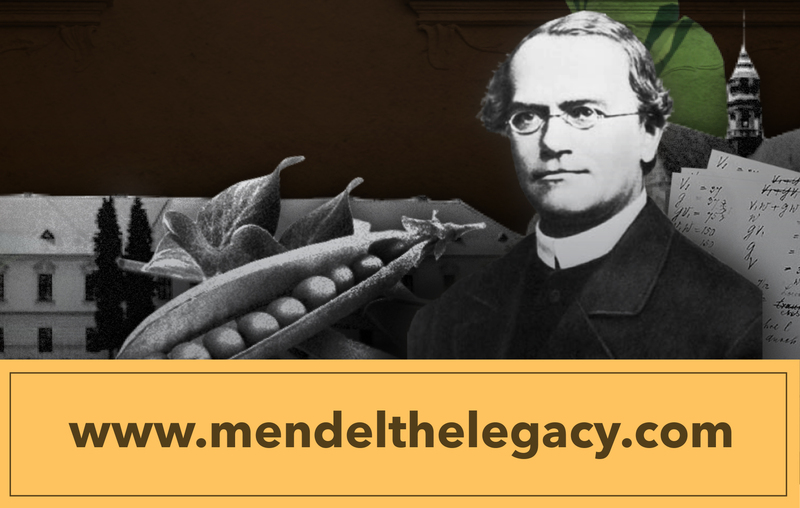 Mendel: The Legacy is part of a global celebration organized by the Mendel Museum of Masaryk University in Brno, Czech Republic. Another Successful Cal Day at the MVZ! Another successful Cal Day has come and gone! Our final visitor count for the gallery was 2635, which is 350 more people than last year! Each year, the MVZ comes together to deliver the most popular show on campus. It is the one day each year that we can share our museum with the public and they have come to know and love us for it. We are extremely grateful for all the hard work put in by MVZ faculty, staff, postdocs & students in generating exhibit content for the gallery. In addition, our Cal Day volunteers did a fantastic job engaging the public and ensuring that visitors were interacting with the displays in a meaningful way. Thank you to everyone who contributed to Cal Day 2015! Cal Day 2015 at the MVZ! The MVZ is opening its doors THIS Saturday, April 18, 9 am - 4 pm for Cal Day! See what we have planned for Cal Day inside the museum and in the VLSB courtyard. Come visit us at 3101 Valley Life Sciences Building (VLSB) THIS SATURDAY. You can find us on the 3rd floor above the T-Rex and Pterosaur. "University of California, Berkeley -- with six natural history museums at the Northern California campus -- is the only school in the West to break into the top 10." says the LA Times. The Museum of Vertebrate Zoology is one of the six Berkeley Natural History Museums along with UC Museum of Paleontology, University & Jepson Herbarium, Essig Museum of Entomology, Phoebe Hearst Museum of Anthropology, and the UC Botanical Gardens. Cal Day is coming and we need your help! 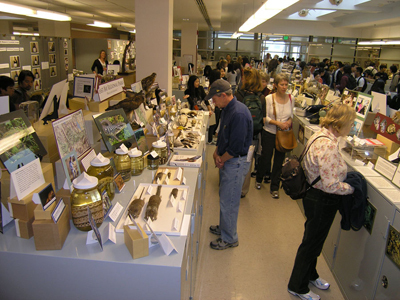 Cal Day is UC Berkeley's open house and it is the one day each year that the Museum of Vertebrate Zoology opens it's doors to the public. The MVZ receives well over 2,000 visitors each year, so it's a great opportunity for us to communicate the importance of our museum to the broader community! Every Cal Day, we showcase dozens of displays, interesting specimens, and a variety of activities and lectures. This year Cal Day is on Saturday, April 18, 9:00am - 4:00pm and we need your help to staff the museum on this very special day. Please sign-up to volunteer now using this online form! Expertise in an area is not required, there's all kinds of fun activities you can help with that don't require expertise, and for the ones that do, they'll come with "cheat sheets." Food will be provided for volunteers, and if you work the whole day (7 hours or more), you get a free t-shirt! "Science for Parks, Parks for Science" summit brings many visitors to the MVZ, including keynote speaker EO Wilson and Governor Jerry Brown. Convening science leaders to launch a Second Century of stewardship for parks, 100 years after the birth of the National Park Service idea at Berkeley. This two and a half day summit at UC Berkeley, one of the worldâ€™s premier research institutions, will feature a keynote speech on the mission of parks by Edward O. Wilson, plus 16 plenary lectures or panels by leading natural, physical, and social scientists. Check out the Museum of Vertebrate Zoology on Facebook and "Like" our page to follow MVZ news and announcements! Attend our Information Session where you can learn more, meet project supervisors, and hear from current and recently graduated MVZ students. Please meet outside the museum doors by 5:00pm. Light refreshments provided. MVZ Faculty Curator of Herpetology Jim McGuire made a ground breaking discovery while on a recent research trip to the remote Indonesian island of Sulawesi. He became the first to obtain direct proof that the fanged frog Limnonectes larvaepartus gives birth to live tadpoles rather than laying eggs. In an interview with UC Berkeley News Center, McGuire explained that L. larvaepartus "is one of only 10 or 12 species that has evolved internal fertilization, and of those, it is the only one that gives birth to tadpoles as opposed to froglets or laying fertilized eggs.â€ Though this species was discovered several decades ago, its unusual reproductive mode had never before been observed. Listen to the story on NPR. Read the full article on PLOS One. 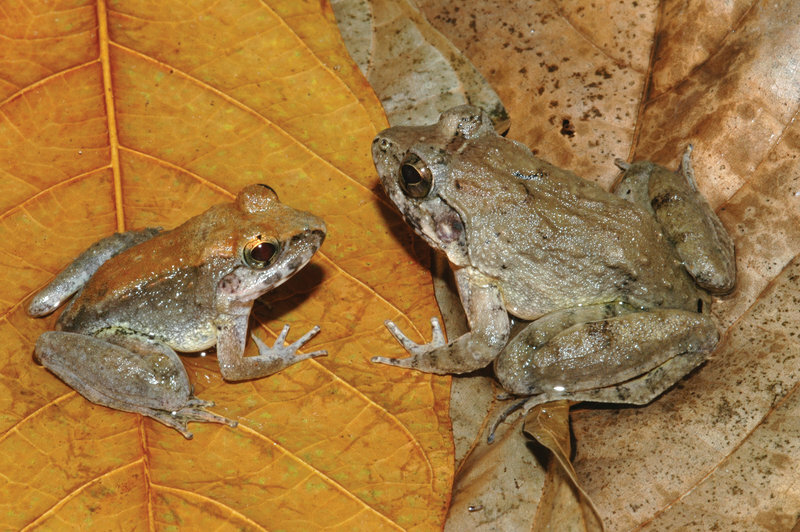 Male (left), female (right), tadpole at ca. stage 25 (bottom) L. larvaepartus. Ecologist and ornithologist Dr. Robert Ricklefs was awarded the prestigious 2015 Joseph Grinnell Medal of the U.C. Berkeley Museum of Vertebrate Zoology. This award is given every five years to a senior scientist who exemplifies a commitment to natural history research and is making fundamental empirical and conceptual contributions to ecology and evolution. The award was established in 1983 and named after Joseph Grinnell, the founding director of the U.C. Berkeley Museum of Vertebrate Zoology. Past recipients include George A. Bartholomew, James H. Brown, David B. Wake, Peter and Rosemary Grant, and Michael J. Ryan. Robert Ricklefs is a Curatorsâ€™ Professor of Biology at the University of Missouri and a member of the National Academy of Sciences. He has dedicated his career to understanding the origin, maintenance, and significance of diversity in nature. He has made fundamental contributions to our understanding of biogeography, especially of oceanic islands, the evolution and ecology of life history variation, and disease ecology. Ricklefs has been a forceful advocate for the importance of â€œnatural history observation and thinkingâ€. He is the author of several seminal textbooks and over 300 peer-reviewed articles. Through his work, Ricklefs has played an important role in shaping both popular culture and scientific thought. Learn more about Robert Ricklefs. 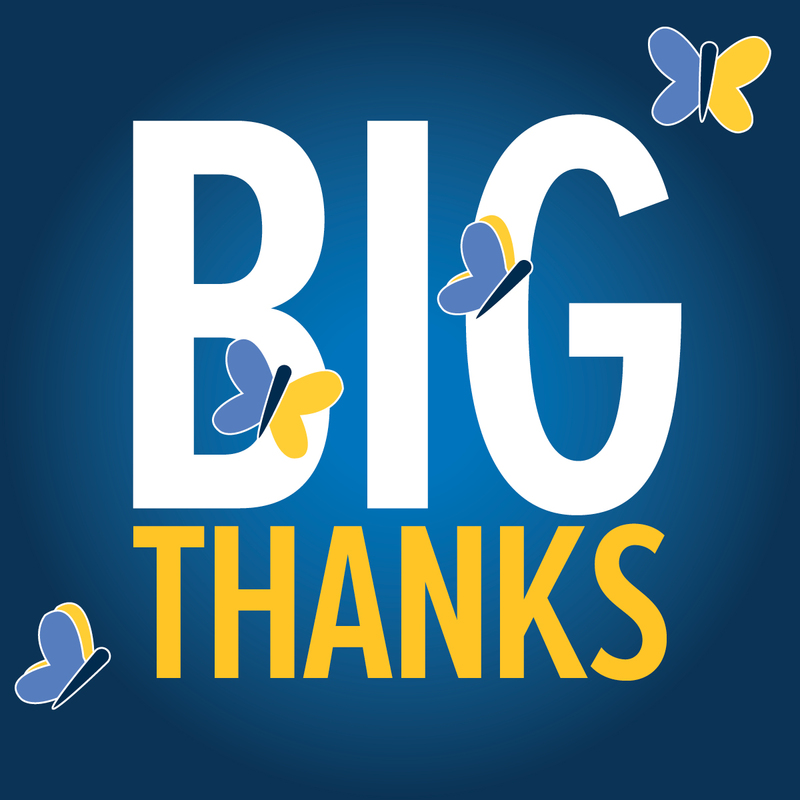 A very Big Thanks to everyone who participated in the Big Give on November 20, 2014! UC Berkeley raised $5.3 million from 7,336 donors. 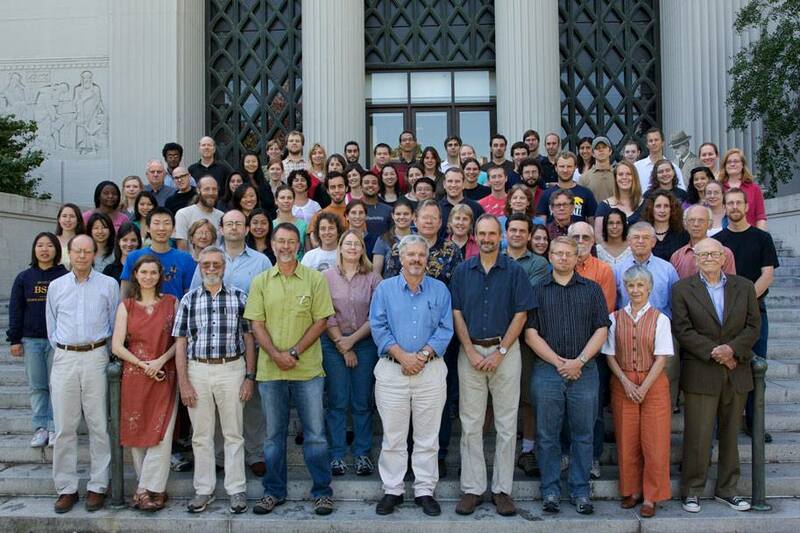 Thank you for being part of UC Berkeley history! Berkeley's first 24-hour online fundraising campaign to support students, faculty, and research, keeping Cal the #1 public university in the world. Be a part of the Big Give by donating to the Museum of Vertebrate Zoology on November 20, 2014. Where are you now, and what have you been up to since you left the MVZ? We would love to hear from all our MVZ alumns. Please complete THIS FORM to tell us what you have been up to and to make sure we have your most current contact information. 100 years after the historic meetings that helped launch the National Park Service (NPS), scientists, managers and practitioners will re-convene at UC Berkeley to launch a Second Century of stewardship for the parks. E. O. Wilson will be the keynote speaker at the March 2015 Summit. MVZ researchers Michael Nachman and Michael Sheehan found that evolution has led humans to have unique and easily recognizable faces, more so than in other species. Unlike other body parts, face parts are not predictable. "You mix and match," Sheehan jokes, "like Mister Potato Head." The Museum of Vertebrate Zoology at UC Berkeley solicits nominations for the Joseph Grinnell Medal. This award is given every five years to a senior scientist who exemplifies a commitment to natural history research and is making fundamental empirical and conceptual contributions to ecology and evolution. The award was established in 1983 and named after Joseph Grinnell, the founding director of the UC Berkeley Museum of Vertebrate Zoology. Past recipients include George A. Bartholomew, James H. Brown, David B. Wake, Peter and Rosemary Grant, and Michael J. Ryan. Nominations should include a CV and supporting letter and should be sent to Michael Nachman, Director MVZ (mnachman@berkeley.edu), by October 1, 2014. The deadline to apply for Undergraduate Research Apprentice Program (URAP) positions in the Museum of Vertebrate Zoology has been extended to Friday, September 12 at 3:00pm! Hope to see you in the MVZ this Fall! Gain hands-on experience in the Museum of Vertebrate Zoology. With over 30 URAP and volunteer positions available, there's something for everyone (including starter positions with no experience necessary). Apprentice positions available in Curatorial/Collections, Prep Lab, Archives, GIS/Informatics, AmphibiaWeb, and in faculty led research labs. Attend our Information Session where you can learn more, meet project supervisors, and hear from current and recently graduated MVZ students. Please meet outside the museum doors by 5:00pm. Refreshments provided. 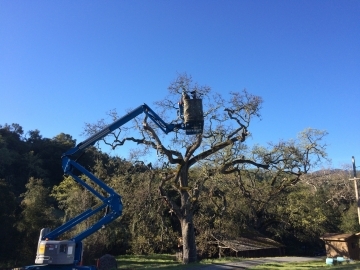 The MVZ is currently being featured in the California Historical Society's exhibit Yosemite: A Storied Landscape, which celebrates the 150th anniversary of the Yosemite Grant. The exhibit, which runs from June 29, 2014 to January 25, 2015, includes a California Grizzly bear (Ursus arctos) skin from the MVZ Mammal collection, one of the last Grizzly bears found in Yosemite, and Joseph Grinnell's survey of the Yosemite transect as part of the Grinnell Resurvey Project. The MVZ graduated four new PhDs this Spring: Dr. Beth Wommack, Dr. Elaine Vo, and Dr. Andrew Rush from the Bowie Lab, and Dr. Yu Zeng from the D. Wake & Dudley labs. We also had 41 MVZ undergraduates earn their Bachelor's degrees! We wish you all the best on your new and exciting adventures. 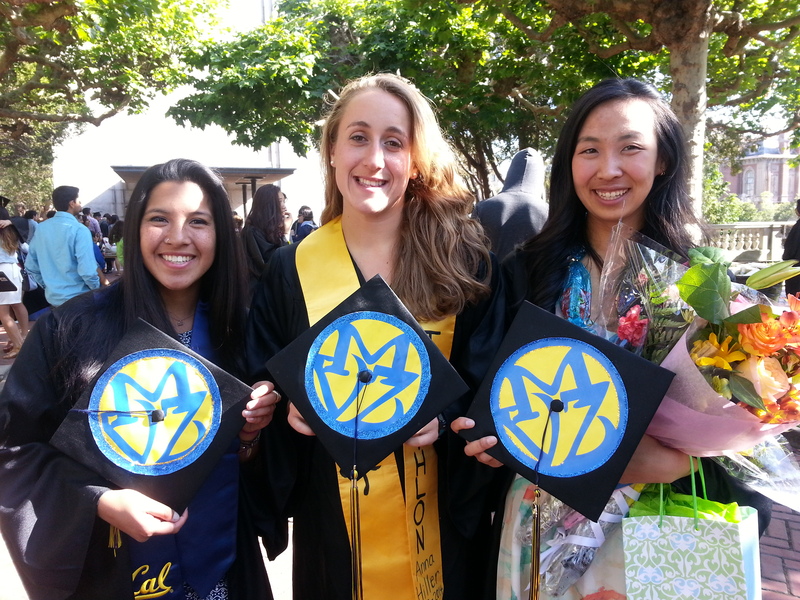 Pictured here (left to right), MVZ Undergrads Melissa Morales, Anna Hiller, and Irene Chang. Tune into THE GRADUATES, a radio show by and about UC Berkeley's graduate students! 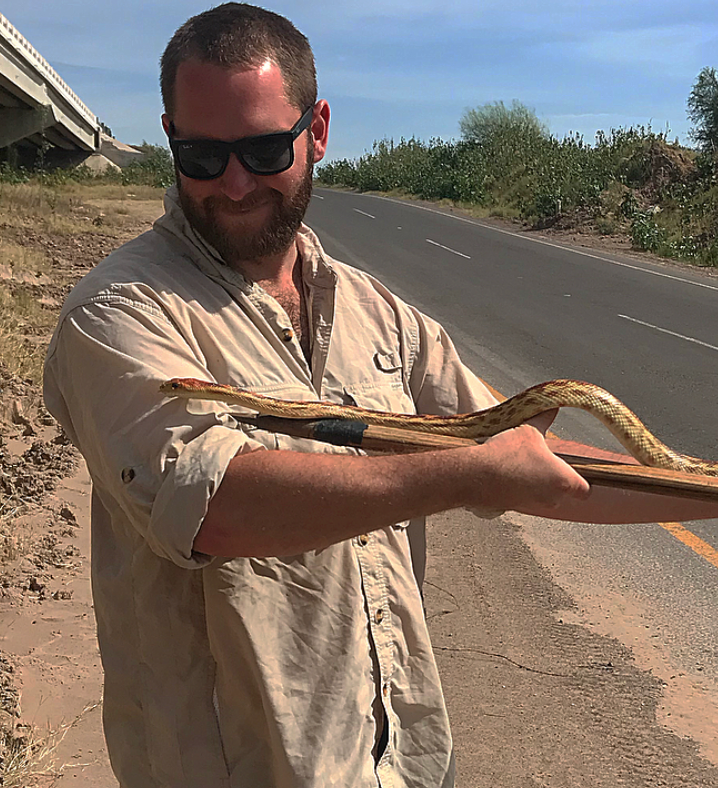 This week's installment of THE GRADUATES on May 6th features Phillip Skipwith, MVZ Grad Student in the McGuire Lab, and his herpetological endeavors. The Graduates is the talk show where UC Berkeley graduates students talk about their work here on campus. Hosted by KALX DJ and graduate student Tesla Monson (IB), The Graduates airs every other Tuesday from 9am-9:30am. Catch up with past episodes-- free to listen and download on iTunes! Come by the MVZ from 9am-4pm Saturday, April 12th for loads of fun. It's Cal Day, and the entire Berkeley campus opens its doors to the public. Meet scientists, play games, try your hand at scientific illustration or origami, see a puppet show or a science game show. Everything's free! MVZ is seeking a dynamic person to join our community! We are now accepting applications for a Front Office Assistant (III). Please read more here or on the UC Berkeley Job website. Go to http://jobs.berkeley.edu, click on "Job Listings" followed by "External Applicants", and then search for job number 17447. Dr. Harry Greene, renowned biologist, author, and former MVZ curator presents "Snakes and primates, an 80 million year-long dialog -- with digressions about late 20th century MVZ" on Saturday, February 8th. Free behind the scenes tour and mingling with scientists at 3pm in 3101 VLSB, and lecture begins at 4pm in 2040 VLSB. Visit us from 8am-3pm on December 11th to see an "Art in the MVZ" display. Art pieces have been created by MVZ staff, students, researchers, and friends. The MVZ will have t-shirts and three different beautiful posters available for purchase too! A few other art items may be available for purchase. All donations will go to MVZ Education and Outreach. Join us in the VLSB to celebrate research connections between UC Berkeley and Yosemite National Park. October 26th from 5pm-8:30pm. Dr. Jim Patton will be giving a talk, there will be refreshments, displays and behind the scenes tours of the UC Berkeley Natural History Museums! 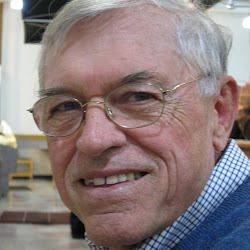 Robert C. Stebbins passed away. 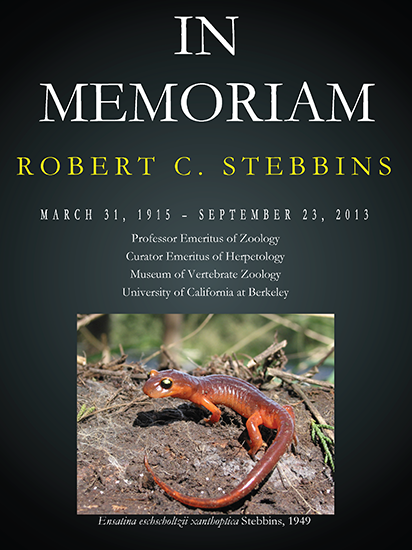 We are sad to announce the passing of Bob Stebbins, a friend, colleague, Curator and Professor Emeritus at the Museum of Vertebrate Zoology, UC Berkeley. He was 98 years old and his impact on us professionally and personally go far beyond the field of herpetology. Bob touched also those who only know him through the archival legacy he left as articulated in a blog posting. Click on the title for Berkeley News Center's obituary. Most recently he was honored with the naming of a new species of legless lizard, Anniella stebbinsi, one of four new species from California. An excerpt from his oral history is viewable on the MVZ channel where he speaks about life and death. Apply to our URAP positions! Get that lab or research experience you've been looking for! With over 50 URAP positions available, there's something for everyone at the MVZ. Assist in research on global change biology, learn the vertebrate skeletal system, share your love for science with a broader audience through education and outreach, work with original hand-written notes from over 100 years ago -- there are abundant possibilities, and not just for bio majors! Look for the URAPs listed under Carol Spencer, David Wake, Michelle Koo, Eileen Lacey, and Rauri Bowie. Help support science education and our undergraduate program -- and get a free behind the scenes tour of the MVZ! We're hosting a "Weird and Wonderful" Silent Auction on Thursday, August 1st from 6-8pm. RSVP here and invite your friends! Through the Undergraduate Research Apprentice Program this past spring, Berkeley undergraduates had the opportunity to work directly with the historic field notes housed in the archives of the Museum of Vertebrate Zoology. From digitizing field notebooks to capturing the higher geographies found within their pages, these apprentices played an integral role in the MVZ Archives’ mission to increase access to its rich historical materials. Read first-hand accounts of the students’ projects and experiences over on the MVZ Archives blog! If you are a MLIS student, gain valuable professional experience in the archival field through a paid internship at the Museum of Vertebrate Zoology! We are seeking interns for the upcoming Fall 2013 and Spring 2014. Please see our blog for more information. The MVZ has had an excellent semester and gives three cheers for Theresa Grieco, Sonal Singhal, and Sarah Werning -- MVZ students receiving their PhDs this Spring. We also congratulate MVZ grad students Zach Hanna, Charlotte Jennings, Jay McEntee, Andrew Rush, and Yu Zeng for receiving Outstanding Graduate Student Instructor Awards for this past year! 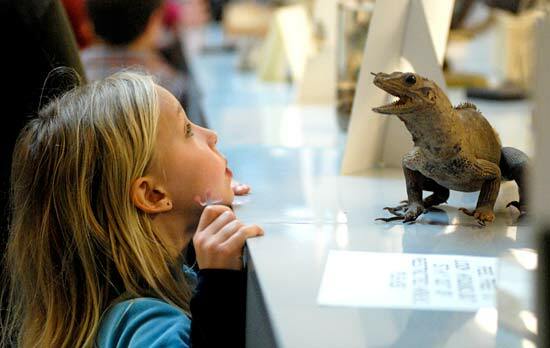 This April 20th: Visit the only opportunity this year for people of all ages to peek behind the doors of the Museum of Vertebrate Zoology. 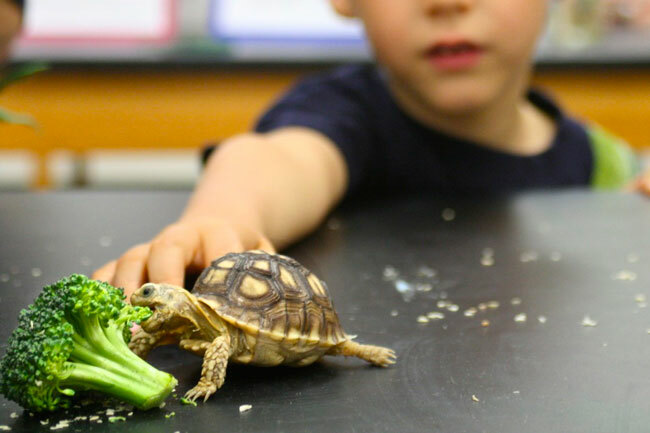 Learn all about California's incredible natural diversity and interact with zoologists! 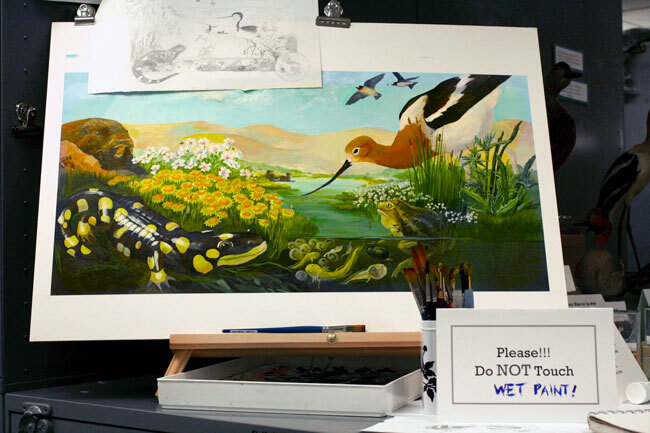 See beautiful original art inspired by nature. Hunt for treasures of the natural world. Have your face painted, make art, & get your Science@Cal Passport stamped! Discover something new at MVZ! Congratulations to MVZ Curator and IB Professor Rauri Bowie for receiving the 2013 Distinguished Teaching Award, Berkeley campus' most prestigious award for excellence in teaching. Rauri joins the illustrious ranks of previous MVZ awardees of the Distinguished Teaching Award, Eileen Lacey, Frank Pitelka, Harry Greene and Jim Patton. UPDATE: The public Distinguished Teaching Award Ceremony will occur Wednesday, April 24, at 5 p.m. in the Zellerbach Playhouse. Come join us to honor Rauri! Christina Fidler, our Archivist, was the guest writer on the Smithsonian's Field Book Project blog, covering the Grinnell Method as well as our own Archival project. She alludes to the order and structure of Grinnellian field notes as key to the our goals of integrating specimen and observational notes together. Read more about the ongoing Archival project on our blog. Read an intimate portrait of the Carmel River watershed, Passion for Place, by the people who know it best, including recently retired Resident Director of Hastings Natural History Reserve, Mark Stromberg. He contributed a chapter on Finch Creek with original artwork of the landscape and creatures of Hastings. Spring events are planned in and around the Carmel River this year! Seeking MLIS students who are looking for professional experience working in a worldclass archives with our Museum Archivist to help secure and make accessible our archival material. The collection spans the 20th century and continues with modern accessions, including field notes, images and other material from natural history research. Openings available now for the Spring and Summer. Berkeley Undergrads -- Get Involved! Calling all UC Berkeley undergraduates! 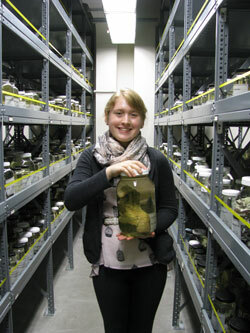 If you'd like to get involved in the museum, please fill out an MVZ Undergraduate Application. Get units by signing up for a URAP -- the deadline has been extended to February 7th. Apply your love for animals, science, writing, history, maps, computer science, art, archival studies, and/or education in a museum setting! Congratulations to our former director for garnering the 2012 Molecular Ecology Prize! Molecular Ecology writes "(the prize) was awarded to Professor Craig Moritz of the Australian National University for his transformative research in evolutionary conservation science and biogeography across multiple continents." Read a biography of Craig and his contributions to molecular ecology in the latest issue of Molecular Ecology. The early October rains in Berkeley have brought out the amorous male Newts and thus exposed them to the dangers of traffic since South Park Drive in Tilden won't be closed until November. Simply closing the roads early likely won't happen as the Park District concedes the needs of commuters outweighs the newts' mating needs. Read more in the Berkeleyside about what MVZ's David Wake, a local resident has to say. Congratulations to David B. Wake for receiving the California Academy of Sciences’ highest honor, the Academy Fellows Medal, which is nominated by colleagues and appointed by the Board of Trustees. ﻿﻿Since 1964, the medal has been awarded to especially prominent scientists who have been recognized for their outstanding contributions to their specific field(s) of science. 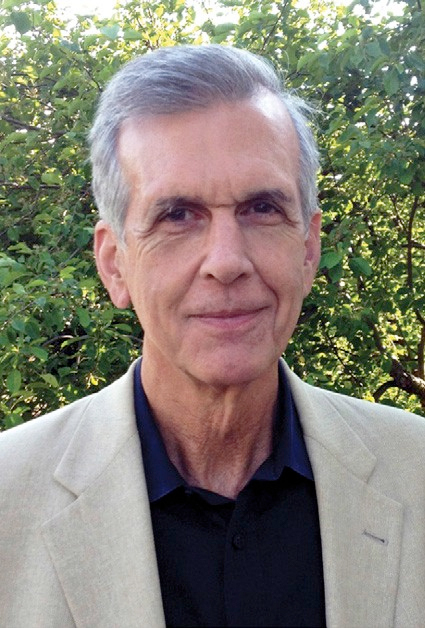 David Wake joins other MVZ curators to be awarded this honor; Marvalee Wake was the medalist in 2010, Frank Pitelka in 1997, Robert Stebbins in 1991, and Tracy Storer in 1968. We're looking for enthusiastic students with interests in either the Prep Lab or one of the Informatics projects. Now is also the time to sign up for Advanced Prep Lab if you have a little experience and want to delve elbow deeper into specimen preparation. Here's some tips: for beginners to MVZ or curatorial work, read more here; for Advanced Prep Lab, this is your link. If you are more technically adept and want the museum experience working with data, web design, coding, mapping, etc, find out more here. This year we are also looking for students to contribute to the Keck Engine. Open to majors of all kinds. September 5th at 5 pm in MVZ is Undergraduate Orientation Night. URAP positions are now CLOSED. But check out the undergrad program for next semester! Read more about being an undergrad at MVZ! 7,000 amphibian species in the world! The total number of amphibian species reached 7,000 today. 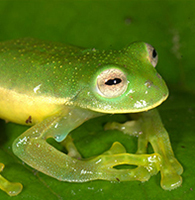 The 7,000th known amphibian is a new glassfrog from Peru, Centrolene sabini, discovered at high elevations in Manu National Park, Peru, by Alessandro Catenazzi, MVZ Post-doc Rudolf von May and colleagues (Zootaxa 2012). Glassfrogs have increased from 65 in 1985 to 152 known today, illustrating the paradoxical phenomenon of amphibian discovery during a time of decline for amphibians. In June 2012, IUCN reported 41% of amphibian species at risk of extinction. Yet, the number of known species has increased dramatically, from 4,013 in 1985 to 7,000. Enjoy AmphibiaWeb's new song in celebration of the 7,000th species! 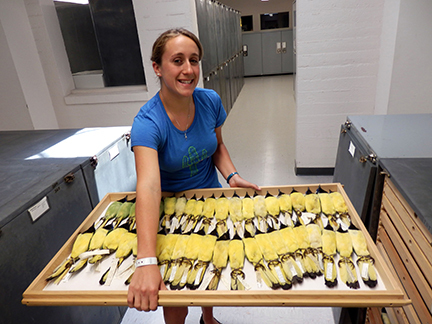 Previous MVZ honors student Allison Shultz (now a grad student at Harvard) used the historical records housed in the MVZ to investigate how the bird community on campus has changed over the past 93 years. The results are published in The Condor, and show considerable community turnover in each of three time periods (1913-18, 1938-39, 2006-07), but the total number of species has not decreased. In the past year, Rauri Bowie has had a lot of public inquiries wanting to know if crows and ravens have increased in the East Bay. Bowie replies that their data suggests that they have increased relative to historical levels, but interestingly they appear to not have adversely affect the diversity of bird species present on campus. Read more at the UC News Center. Read MVZ Archive's new blog! The MVZ Archive now has a blog, which will feature stories uncovered during our CLIR-funded work as well as progress reports as we tackle the challenge of cataloging and integrating our rich archives with the specimen collections. Read all about it here! 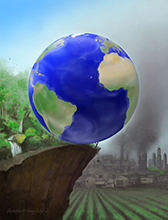 Congratulations to Tony Barnosky and all the authors on their Nature paper entitled "Approaching a state shift in Earth's biosphere". This is the product of the 1st BiGCB Annual Symposium on Biodiversity theory to inform global change strategies, held in December 2010, and has been widely cited in the press (e.g. New York Times, BBC). The commissioned artwork is by MVZ alumna Cheng (Lily) Li. To support MVZ's CLIR grant that will catalog and integrate our archives with the collections and library standards, we are seeking a Museum Archivist (closes June 18, 2012). See here for job and application details. The Berkeley Initiative in Global Change Biology (BiGCB) at the University of California, Berkeley, is seeking to fill several positions for the W.M. Keck Foundation Funded Project entitled Informatics Engine for Understanding Biotic Response to Global Change. This is an exemplar MVZ Informatics project that is highly collaborative, aims to mobilize natural history data resources and ultimately will help advance research. See more information about these positions. Emeritus Professor George Barlow has passed away. The MVZ is saddened to announce the death of Professor George Barlow at the age of 78. Barlow, a professor with the Integrative Biology department and Research Ethologist at the MVZ, focused on animal behavior and evolutionary biology in his work and was highly renowned for his expertise in fish biology. From the time he was young, Barlow showed a deep passion for all things aquatic, from collecting hermit crabs on the beach as a child to playing water polo and surfing as an undergrad at UCLA, to joining the Coast Guard during the Korean War and eventually becoming one of the world's most prominent figures in ichthyology. He was devoted to his work and loved teaching, as well as travel, gardening, music, and all animals. George Barlow is survived by his wife, Gerta, their three daughters, and six grandchildren. He will be missed. A memorial service is planned for Sept. 8 at 1 p.m. at the Alumni House at UC Berkeley. For more information on this or a pending memorial fund that would support student research, contact bickabarlow@sbcglobal.net. Click on title to read the full SF Chronicle obituary. We are delighted to announce that Dr. Eileen Lacey, Associate Professor (Department of Integrative Biology) and Curator of Mammals (MVZ) has received a Distinguished Teaching Award, the highest honor bestowed by UC Berkeley in recognition of excellence in instruction. This award reflects the deep commitment given by Eileen to her students, both graduate and undergraduate, and it is gratifying to see this recognized by the campus. This is the fourth such award bestowed on MVZ/IB Faculty in recent decades - other recipients were Frank Pitelka, Harry Greene and Jim Patton. 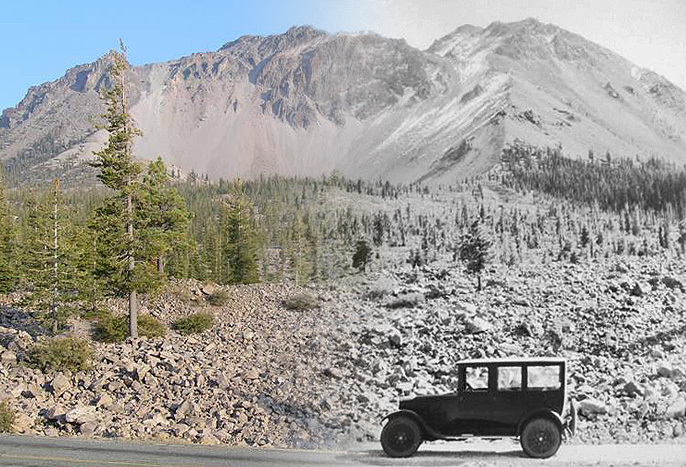 A century of biodiversity is examined and compared in the area of Lassen Volcanic National Park. Read what MVZ scientists, Jim Patton and John Perrine are finding, and how it may relate to our changing world. 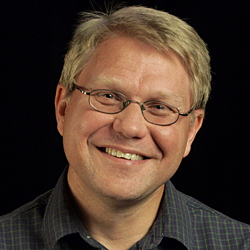 The MVZ is elated to announce that John Wieczorek has received the 2006 Ebbe Nielsen Prize, presented by the Global Biodiversity Information Facility (GBIF). 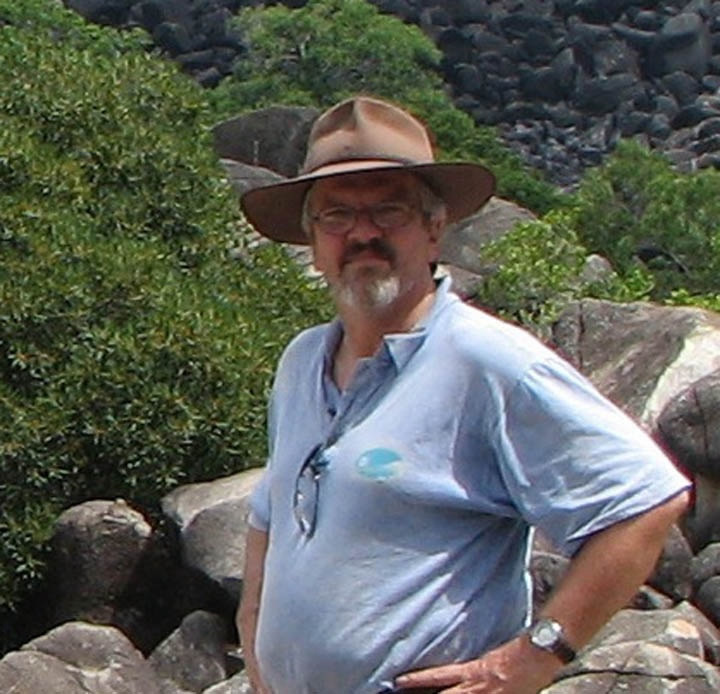 This prestigious award recognizes John's leadership and seminal contributions in the field of biodiversity informatics, including his role in development of DiGIR and distributed data networks (e.g., MaNIS, HerpNET, and ORNIS.). John will use his prize to expand these projects to Brazil, Argentina, Madagascar and Russia. The Prize will be awarded on 5 April 2006 in Cape Town, South Africa. Ted Papenfuss has worked closely with the U.S. Embassy in Sierra Leone to donate textbooks to the Biological Sciences Department of Njala University. His efforts and scientific collaborations are highlighted in this news article. The Museum of Vertebrate Zoology at UC Berkeley is a national leader in the development and application of biodiversity informatics to museum-based science (see mvz.berkeley.edu/Informatics.html) and is making increasing use of GIS technology in its research, education and outreach. To further develop this initiative, we are now seeking a GIS scientist with relevant expertise and enthusiasm for promoting the use of georeferenced museum data in conservation and research on vertebrate biogeography, ecology and evolution. 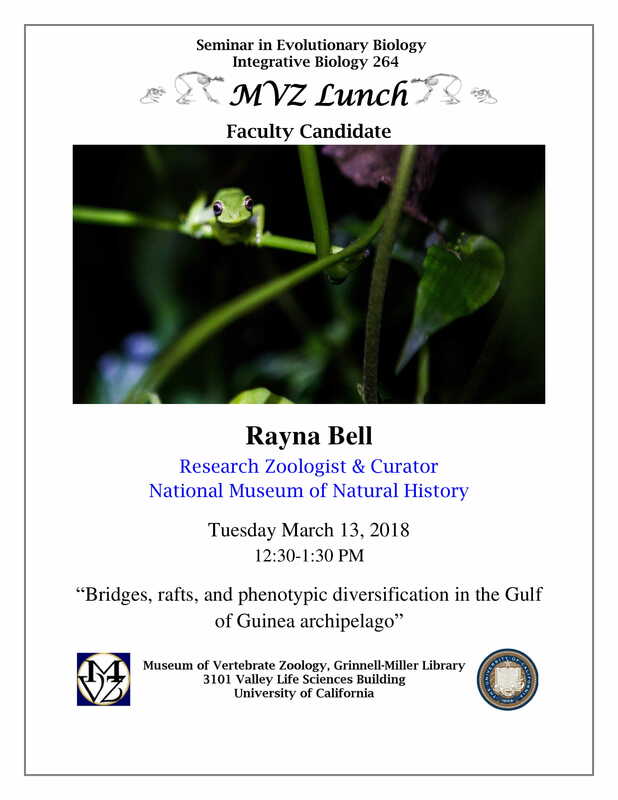 The appointee will be located within the MVZ, contribute to the museum’s research effort and interact with a strong existing biodiversity informatics group in the MVZ and the Berkeley Natural History Museums (bnhm.berkeley.edu/about/informatics.php). The position will be for one year beginning approximately January 1, 2006, with reappointment contingent upon funding availability, at the Assistant or Associate Specialist level (annual salary ranges: $36,816-$42,180 or $45,948-$55,320, respectively), depending on qualifications and experience. Substantial experience in GIS methods, including modeling and GIS-related programming is essential, as is interest in museum-based bioinformatics research and enthusiasm for training and collaborative research. Applications should include a CV and brief statement addressing the duties and selection criteria and describing a vision for how informatics and GIS can further the mission of the museum. These, together with names of 3 references, should be submitted to Jeanne G. Kassis (Position #200), Berkeley Natural History Museums, 3101 Valley Life Science Building, UC Berkeley, CA 94720 by November 21, 2005. Further information about this position can be obtained from the MVZ web site (mvz.berkeley.edu/Job_Listings.php), or by contacting Craig Moritz (craigm@berkeley.edu). The University of California, Berkeley, is an Equal Opportunity Employer committed to excellence through diversity. The Museum of Vertebrate Zoology at UC Berkeley has a long history of incorporating molecular information into studies of vertebrate evolution, behavior and ecology, and is expanding its application of genomics to these areas. To lead our multi-user molecular laboratory (see mvz.berkeley.edu/Evol_Gen_Lab.html) and to further develop our capabilities in this area, we seek a scientist with appropriate research expertise and strong commitment to managing and providing leadership to this facility. The appointee will be responsible to the Director of the MVZ for efficient operation of the lab, further development of its technical abilities, including collaborative or independent research as appropriate, and provision of training to students and staff. As some sections of the facility also support instruction, the appointee will also be responsible to the Chair of Integrative Biology for logistic support to relevant classes. The position will be for one year beginning approximately January 1, 2006, with reappointment contingent upon funding availability, at the Assistant or Associate Specialist level (annual salary ranges: $36,816-$42,180 or $45,948-$55,320, respectively), depending on qualifications and experience. Substantial and relevant experience in evolutionary genomics, experience in laboratory management and advanced interpersonal skills are essential, as is interest in museum-based research and enthusiasm for training and collaborative research. Applications should include a CV and brief statement addressing the duties and selection criteria and describing a vision for how modern evolutionary genomics can further the mission of the museum. These, together with names of 3 references, should be submitted to Jeanne G. Kassis (Position #100), Berkeley Natural History Museums, 3101 Valley Life Science Building, UC Berkeley, CA 94720 by November 21, 2005. Further information about this position can be obtained from the MVZ web site (mvz.berkeley.edu/Job_Listings.php), or by contacting Craig Moritz (craigm@berkeley.edu). The University of California, Berkeley, is an Equal Opportunity Employer committed to excellence through diversity. Congratulations to Alan Krakauer, who received an Honorable Mention in the Allee competition for best student paper at the 2005 Animal Behavior Society Annual Meetings! Alan's work on Wild Turkey's was recently published in Nature. A volume of original research papers celebrating the career of James L. Patton has just been released by the University of California Press. The volume, entitled "Mammalian Diversification: From Chromosomes to Phylogeography (A Celebration of the Career of James L. Patton)," is available online. Softbound copies also can be purchased from the UC Press. Now Jim can finally, really retire! The MVZ sadly announces the passing of Dr. Seth Benson, who served as Curator of Mammals for 40 years. He collected 13,095 specimens for the MVZ, and retired in 1969. Perhaps his most famous publication is a monograph on concealing coloration in desert mice. He recently celebrated his 100th birthday, which some MVZers were honored to attend. Seth Benson was a legend, and his death marks the passing of an era. Emeritus Professor and MVZ Curator Robert C. Stebbins was recently profiled in the Los Angeles Times about his lifelong career as an artist, scientist, and naturalist. At age 90, Stebbins is still remarkably active. In addition to his recently published Third Edition of the Peterson Field Guide to Western Repiles and Amphibians, he just finished a book geared toward engaging children in natural history. MVZ student Alan Krakauer's recent paper in Nature provides genetic evidence for the evolution of cooperative behavior in mating in Wild Turkeys. His research was conducted at the Hastings Natural History Reservation in Carmel Valley, California. The August 2004-February 2005 issue of the Hastings Newsletter is available. Read about the latest research and other activity at Hastings! 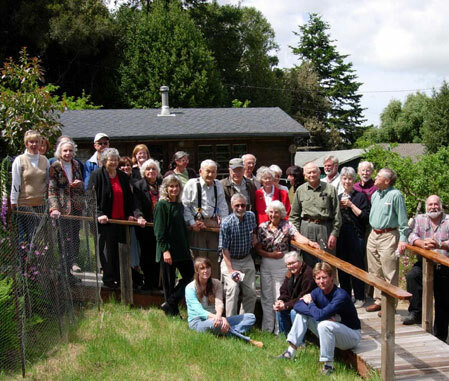 The January/February 2005 issue of Birding (published by American Birding Association) has an article by W. David Shuford on the impact of Annie Alexander, Joseph Grinnell, and MVZ colleagues on ornithological study in California. The article emphasizes the importance of Alexander's "passion, vision, single-minded dedication, and financial backing" in promoting the "Grinnell Revolution," which culminated in the classic 1944 publication on the Distribution of the Birds of California (published after Grinnell's death). The Gordon and Betty Moore Foundation has awarded a team of institutions, led by the UC Berkeley Museum of Vertebrate Zoology, a $1.6 million grant to build an online automated georeferencing tool. The tool, referred to as BioGeoMancer, addresses the crucial need of natural history museums to assign accurate and verifiable coordinates to over 2 billion specimens worldwide that contain text location data but no spatial coordinates. Coupling the geographic scope of specimens with the rich historical record of natural history museum collections yields a source of data of enormous significance, useful in conservation planning, reserve selection, and examining the potential effects of climate change on biodiversity. The European common frog has been studied for centuries, since Linnaeus first classified it in the 18th century. Yet no one had noticed an intriguing mating behavior never before seen in an amphibian that fertilizes its eggs externally. Spanish researcher David Vieites, a Postdoctoral Fellow at the MVZ, has found that, because of an overabundance of males, male frogs often pirate an egg clutch after it's laid and fertilize it again. As many as four males can fertilize a single clutch. Congratulations! to Alan Krakauer for winning the Nellie Johnson Baroody Award at the 2004 meeting of the American Ornithologists' Union in Quebec City, Canada. Alan's talk was on "kin selection and the evolution of cooperation in Wild Turkeys." When receiving the award, Alan was praised for giving an excellent paper without any slides - the powerpoint projector died right at the start. Alan also celebrated his 30th birthday at the meeting! The MVZ, in collaboration with the University of Kansas and 28 other institutions, recently received funding for a 5-year project to build a distributed database network of bird collections ("ORNIS") and to develop a suite of online tools for improving collections data through georeferencing and error-checking. The significance of this project was highlighted in the 2 Sept 2004 issue of Nature. 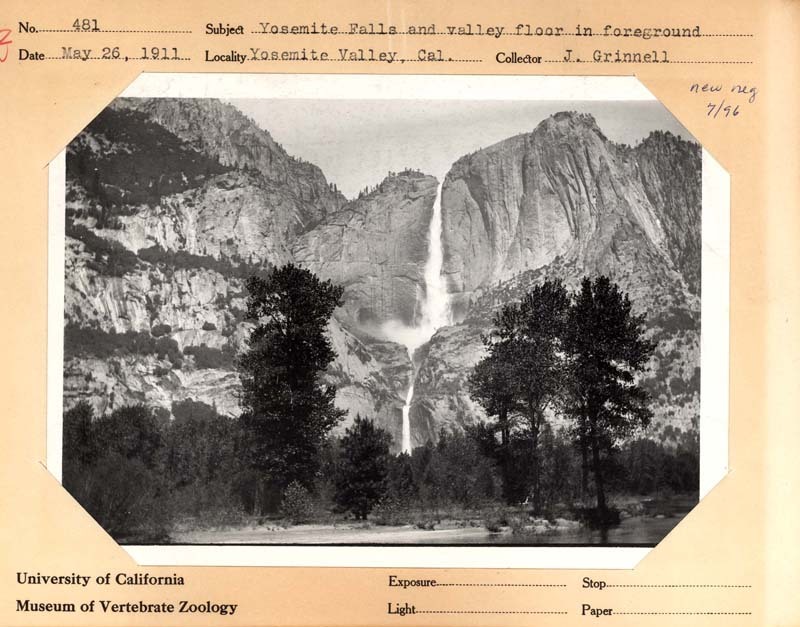 This summer, scientists from the Museum of Vertebrate Zoology (MVZ) and the U.S. Geological Survey (USGS) are continuing their efforts to revisit Joseph Grinnell's vertebrate survey sites in Yosemite National Park. 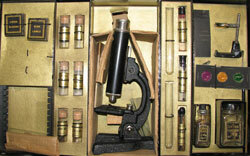 The original surveys, conducted from 1914 to 1920, collected more than 4,000 specimens. Preliminary results suggest that the distribution of several species has changed. This broad survey of Yosemite National Park wildlife is made possible through a cooperative effort with MVZ, USGS and the National Park Service's Inventory and Monitoring Program. Dr. Eileen Lacy (Associate professor, Museum of Vertebrate Zoology) was recently re-elected to the board of directors for The American Society of Mammalogists. As a member of the board, she is recognized as an exceptionally active and talented mammalogist as well as an active member of The Society. Congratulations to several MVZ students for awards received for presentations at society meetings! Erica Rosenblum: Best Student Paper, Division of Systematics and Evolutionary Biology, Society for Integrative and Comparative Biology, 2004 Annual Meeting. Tom Devitt: Stoye Award, Best Student Oral Presentation, American Society of Ichthyologists and Herpetologists, 2004 Annual Meeting. Adam Leache: SSAR Award for Best Student Paper, Society for the Study of Amphibians and Reptiles, 2004 Annual Meeting. Emily DuVal: Warder Clyde Allee Award for Best Student Paper, Animal Behavior Society, 2004 Annual Meeting. Karen Nutt: A. Brazier Howell Award and Student Honorarium Plenary Session Presentation, American Society of Mammalogists, 2004 Annual Meeting. Three students from the Museum of Vertebrate Zoology have been awarded prestigious awards at recent meetings of professional societies. At the Herpetology & Ichthyology meetings last week, Adam Leache won the SSAR Seibert Award for Best Student Presentation in the Systematics category [Secondary contact between two putative species of Sceloporus lizards in Arizona: Multidisciplinary analyses and systematic implications] and Tom Devitt won the Stoye Award from ASIH for his paper entitled "Geographic Variation, Speciation, and Hybridization in the Western Lyresnake (Trimorphodon biscutatus): Implications for North and Middle American Aridland Biogeography". Somewhat earlier, Erica Rosenblum won the Best Paper Award in the Systematic & Evolutionary Biology section of the Society for Integrative & Comparative Biology for her talk on "Reptile Color Variation and Mc1r". Our congratulations to all. A UC Berkeley press release (12 May 2004) featured research by MVZ post-doc Vance Vredenburg and colleagues on the impact of introduced trout on native frog populations in the high Sierras. See article for more information. MVZ curators and students are in their second year of a major project to resurvey the fauna at historical sites visited by Joseph Grinnell (first Director of the Museum) and colleagues in the early 1900s. The goal is to complete this project by the Museum's Centenary in 2008. Field work during 2003, and continuing into 2004, concentrated on Yosemite National Park and its environs. Future efforts will spread the sampling across California. MVZ held the most successful Cal Day ever! Cal Day was held on 17 April 2004, and this year was the most successful ever for the MVZ. Over 1800 visitors came to look at our specimen displays and live animals (salamanders, toads and frogs, snakes, turtles, finches, rabbits, and tuco tucos). A treasure hunt sponsored by the Berkeley Natural History Museum drew in a lot of children looking for answers to questions about egg-laying mammals and alligators vs. crocodiles. The 1000th visitor received a free t-shirt and got a personal tour with her family. Dr. David Wake delivered the second and last of this years' Faculty Research Lectures, "How Animal Lineages Diversify: Implications for Evolutionary and Conservation Biology", on Tuesday, April 13, 2004 at 5 PM at the Berkeley Art Museum Theater, 2621 Durant Avenue. His research was featured in the 8 April 2004 issue of The Berkeleyan. MVZ students succeed in fellowship and grant competitions! Congratulations to Matt Fujita, who has just been awarded an NSF Predoctoral Fellowship. Matt is a first-year Ph.D. student in Jimmy McGuire's lab, where he is exploring molecular evolution in multiple lineages of herps. Before joining the MVZ, Matt was at UC Davis, where he completed his undergraduate degree and worked with Brad Schaeffer as a post graduate research assistant. Congratulations also to Dan Levitis, who received an Honorable Mention in the same competition. Dan is a first-year Ph.D. student who is co-sponsored by Walt Koenig and Craig Moritz. 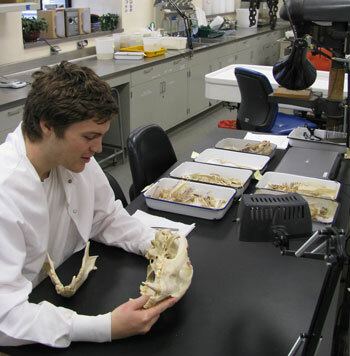 Dan, who completed his undergraduate studies at Bennington College, is interested in avian ecology and evolution and will be spending the summer in the South Pacific studying the evolution of toxicity in pitohuis. 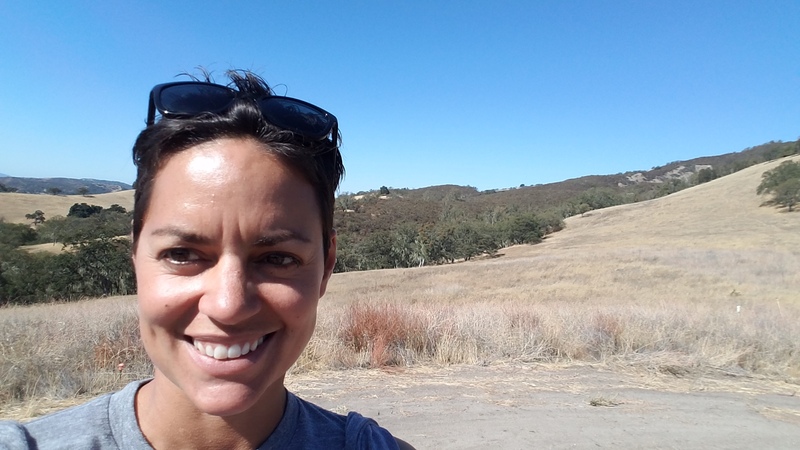 Congratulations also to Lauryn Benedict, who was recently awarded an NSF Doctoral Dissertation Improvement Grant for her study "Adaptive functions of California Towhee (Pipilo crissalis) duet song." Lauryn's Ph.D. research is being conducted at the MVZ's Hastings Reservation. Lauryn is currently in the third year of her graduate studies and is co-sponsored by Walt Koenig and Eileen Lacey. Congratulations also to Bill Monahan, who has just been awarded an NSF Doctoral Dissertation Improvement Grant for his studies of the population genetics of House Sparrows. Bill's Ph.D. research, which is co-sponsored by Walt Koenig and Craig Moritz, uses analyses of modern and historical tissue samples to examine the genetic consequences of human introductions of House Sparrows to North America. Bill is currently in the third year of the doctoral program, having completed his undergraduate degree at the University of Denver. Finally, congratulations to Samuel Diaz-Munoz, who has been awarded a Ford Foundation Predoctoral Fellowship. Sam, who is in Eileen Lacey's lab, is currently in his first year of the PhD program. Sam's research interest is mammalian social behavior, and he plans to spend the summer in Panama conducting preliminary studies of alloparental care in tamarins. The 1 April 2004 issue of Geospatial Solutions contains a feature on "Bone rooms, bird bodies, and biodiversity informatics" at the MVZ and Berkeley Natural History Museums. The article highlights the value of natural history collections for biodiversity and geospatial research, and summarizes ongoing, collaborative initiatives in museum bioinformatics. Geospatial Solutions is a trade magazine for GIS professionals. Dr. Robert C. Stebbins, Emeritus Professor and Curator in the Museum of Vertebrate Zoology, was given the Raymond F. Dasmann Award for the Professional of the Year at the 2004 meeting of the Western Section of the Wildlife Society. This prestigious award is presented to professionals who have made an outstanding contribution to wildlife resources management and understanding in California, Nevada, Hawaii or Guam. Congratulations, Bob! The 19 February 2004 issue of Nature has an article on "behind the scenes" research that helped make the movie Finding Nemo a success. This article highlights the diverse ways in which our collections and research may be used. The MVZ and the new Center of Integrative Genomics (CIG) are hiring a research associate to work in the MVZ's Evolutionary Genetics Laboratory. The new hire will help to build connections between the CIG's computational and experimental genomics group and the MVZ's vertebrate evolution group. Initial priorities are: 1) to advance expertise in genomic and cDNA library construction, screening (standard vectors, BAC's, fosmids, etc.) and sequence analysis and assembly, 2) to help optimize high-throughput sequencing and genotyping. The appointee will work directly on selected projects, train and supervise students and others working in the labs, and also optimize and write protocol for use throughout the lab group. Qualifications: Minimum Master's of Science degree or equivalent lab and research experience. Ability to supervise and train researchers in relevant methods. Laboratory experience in molecular biology is essential. Experience in the application of SNP or haplotype analysis, and colony-probing would be an advantage. Relevant background in computational genomics and molecular evolution is desirable. Applicants may apply on-line at http://hrweb.berkeley.edu/hrjobs.htm. Please reference Job #001015. Dr. Oliver Payne Pearson, former Director (1967-1971) and Curator of Mammals as well as Professor Emeritus of Zoology, passed away 4 March 2003 at the age of 87. Paynie's family has developed a memorial web page and welcomes stories, thoughts, and/or photos from friends and associates. Dr. Ned Keith Johnson, Curator of Birds and Professor of Integrative Biology, passed away 11 June 2003 at age 70 after a long struggle with cancer. Ned was scheduled to retire at the end of June 2003. He began his career at the University in 1956, when he started his Ph.D training under the guidance of Alden H. Miller. A tribute to Ned's life was held on 20-21 Sept 2003. Frank Alois Pitelka, Professor Emeritus of Zoology and former Curator of Birds (1949-1963), passed away 10 October 2003 at the age of 87 from complications of cancer. Franks also served for many years as Associate Director of the Museum, with primary responsibility for the Hastings Natural History Reservation in Carmel Valley, California. A campus memorial is being planned for spring 2004. The San Diego Tribune published an article on November 19th on Joseph Grinnell, the founder of the Museum of Vertebrate Zoology. Follow the attached link for the story. 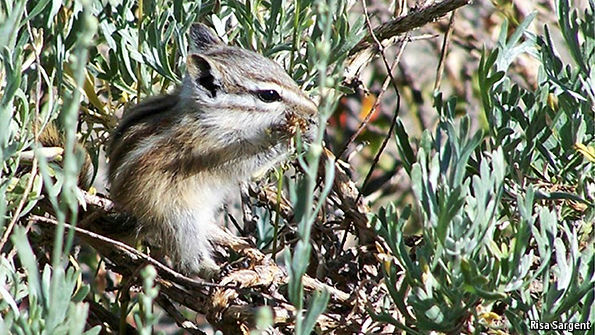 A party of biologists from the University of California, Berkeley, is camping out around Yosemite National Park this summer, reprising a survey of park wildlife first conducted more than 80 years ago by an earlier generation of UC Berkeley scientists. The survey by members of the Museum of Vertebrate Zoology follows the same transect - from the Central Valley through Yosemite Valley to Mono Lake - as did Joseph Grinnell and Tracey Storer in their landmark survey of Sierra Nevada birds, mammals, reptiles and amphibians between 1914 and 1920. 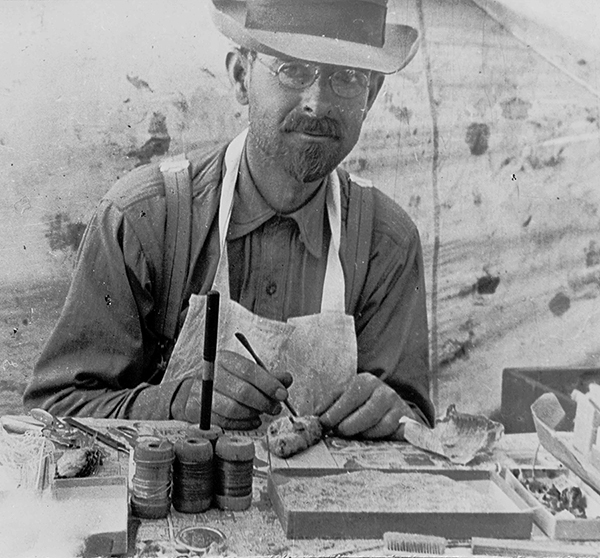 At the time, Grinnell was director of the museum and a zoology professor at UC Berkeley. © Museum of Vertebrate Zoology, University of California, Berkeley | Web Master | 2015.